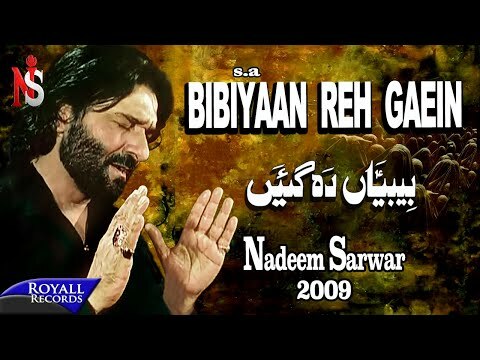 Nadeem Sarwar Nauha Bibiyaan Rehgaai is the nauha from his 2009 nauha album released in 2009. 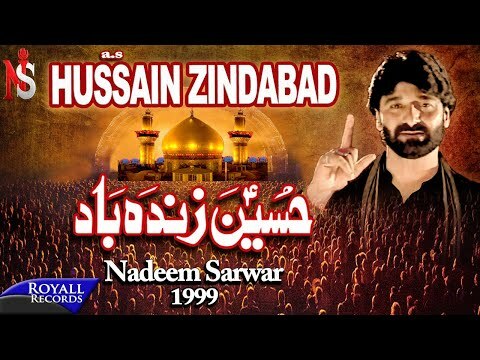 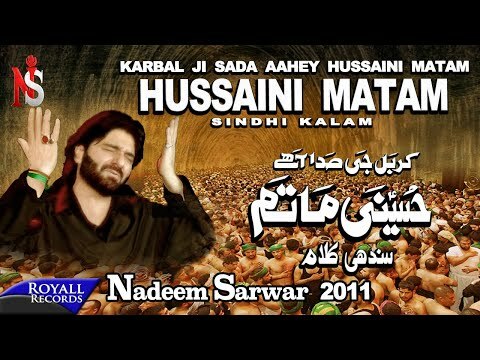 Nadeem Sarwar - Hussain Zindabad is the Manqabat from his 2009 Manqabat album. 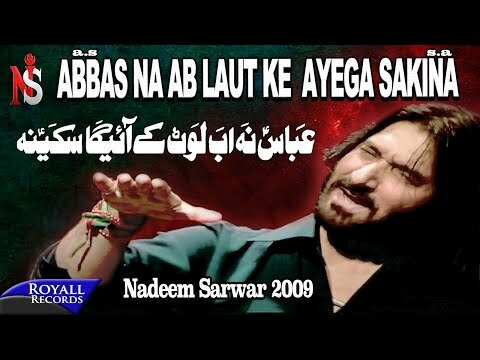 Nadeem Sarwar - Abutalib Ka Gharana is the Manqabat from his 2009 Manqabat album. 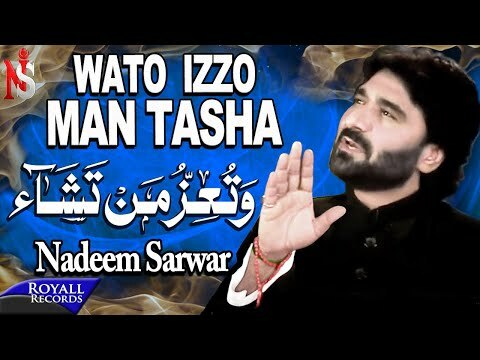 Nadeem Sarwar - Wato Izzo Mantasha is the Manqabat from his 2009 Manqabat album. 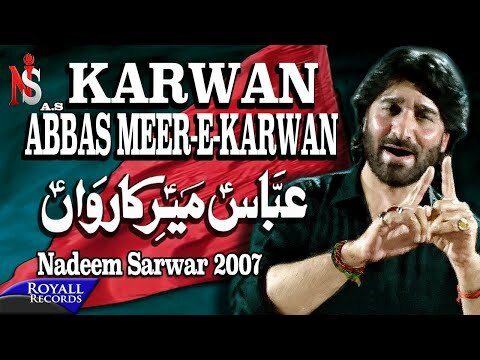 Nadeem Sarwar - Karam ki Inteha is the Manqabat from his 2009 Manqabat album. 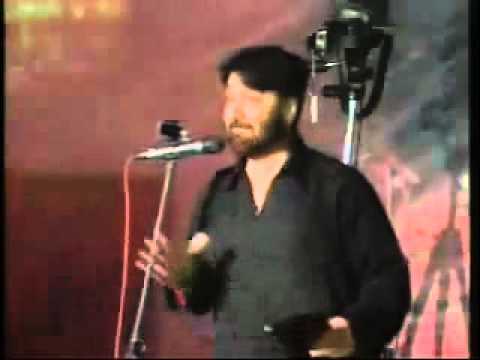 Nadeem Sarwar Reciting Medah Haq Banda in Islamabad, Rawalpindi in 2010. 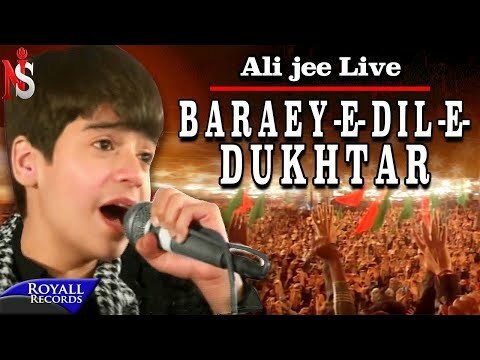 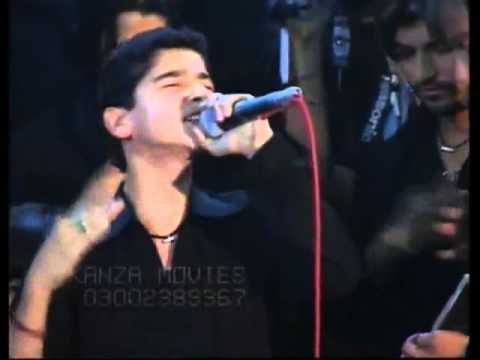 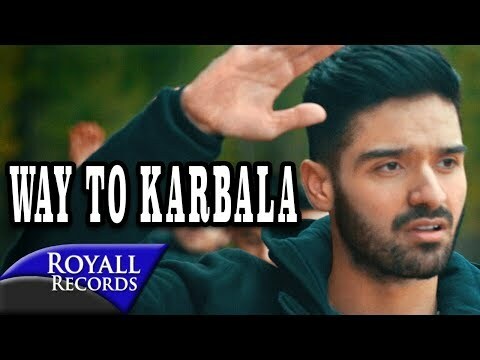 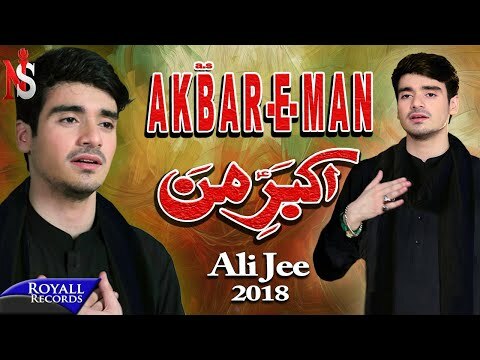 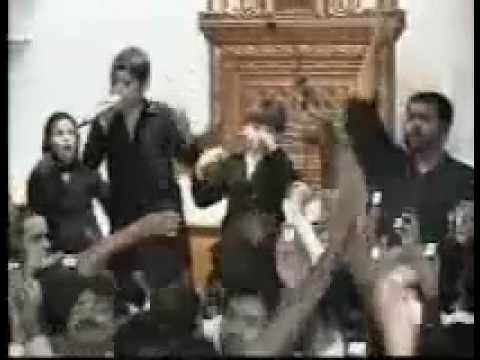 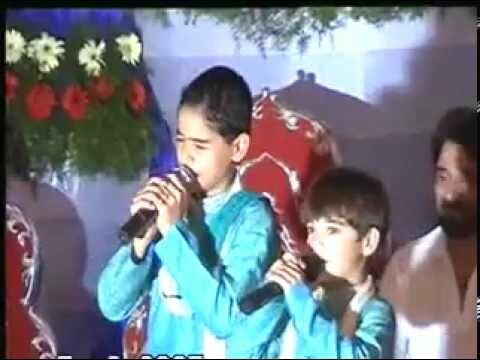 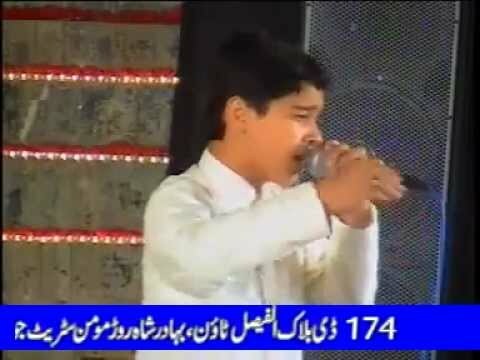 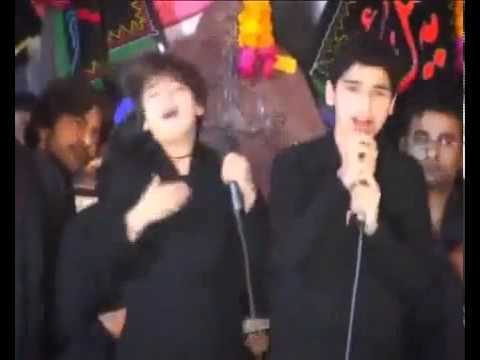 Ali Shanawar Reciting Akbar Mera Pyara Tha in Karachi, Pakistan. 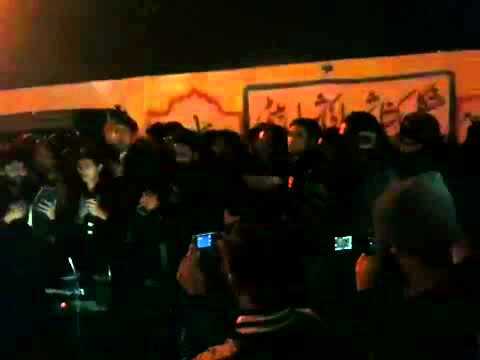 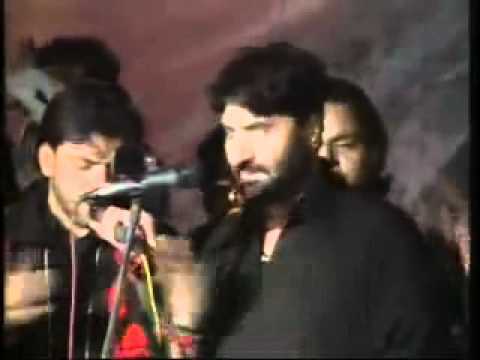 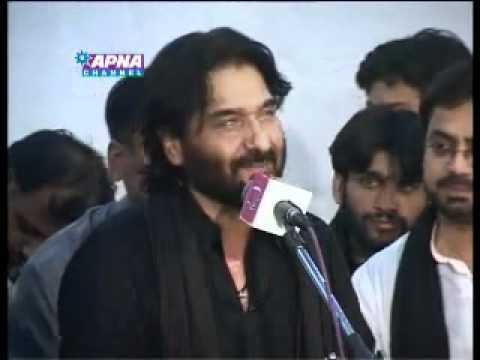 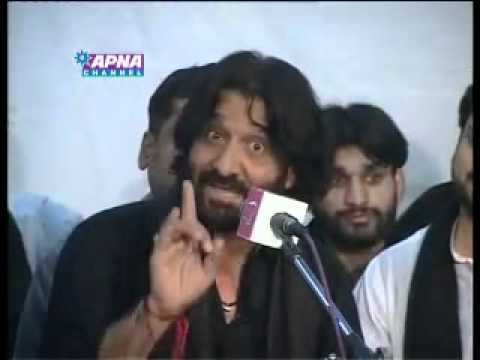 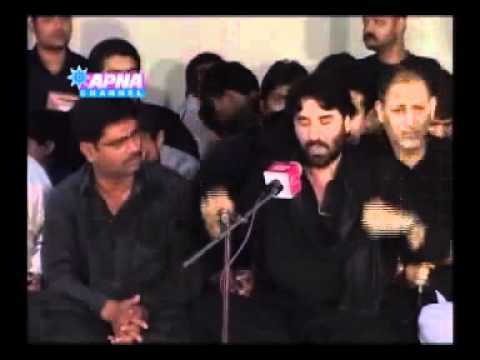 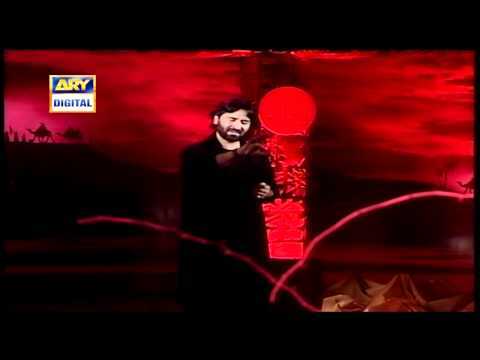 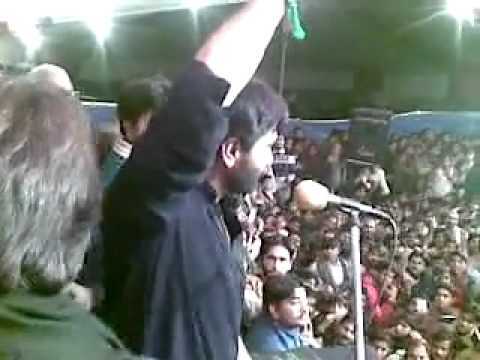 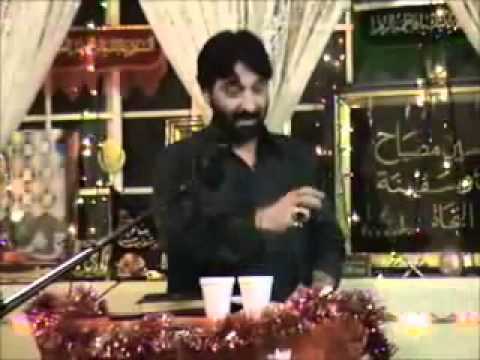 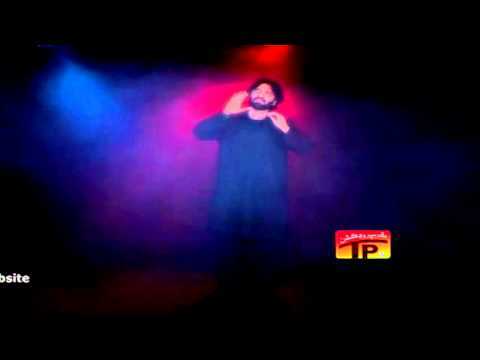 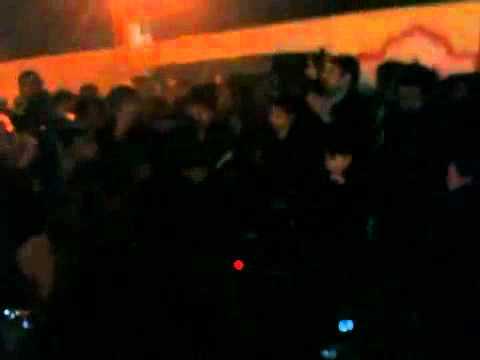 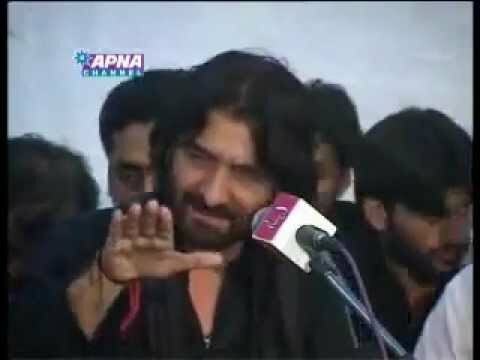 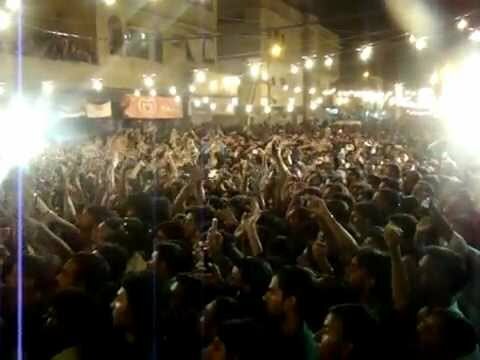 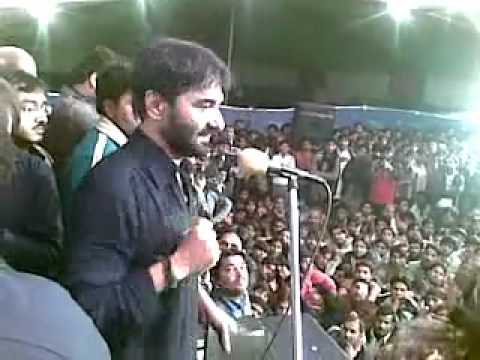 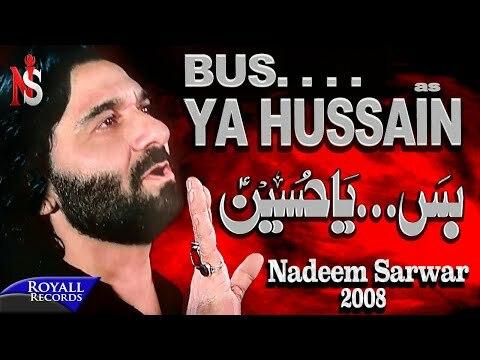 Nadeem Sarwar Reciting Salaam Ya Hussain in Karachi 2009. 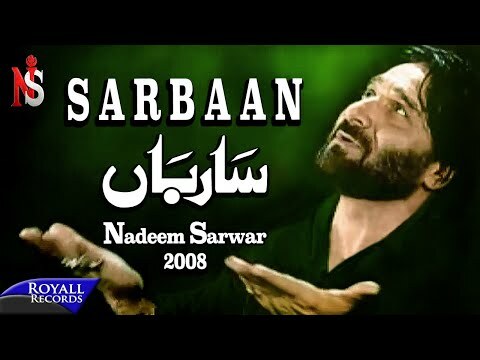 Nadeem Sarwar - Woh Bakamal Hai is the Manqabat from his 2009 Manqabat album. 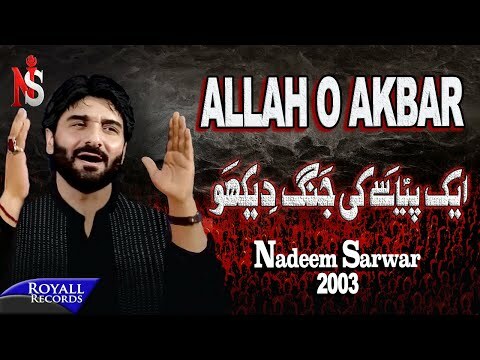 Nadeem Sarwar - Allah Ho is the Manqabat from his 2009 Manqabat album. 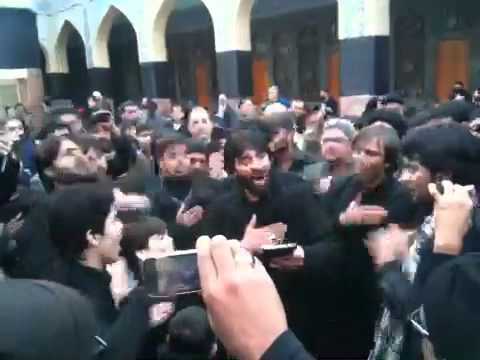 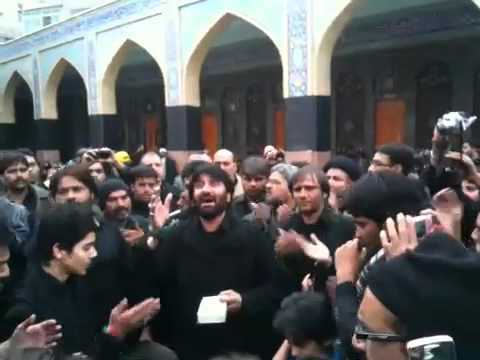 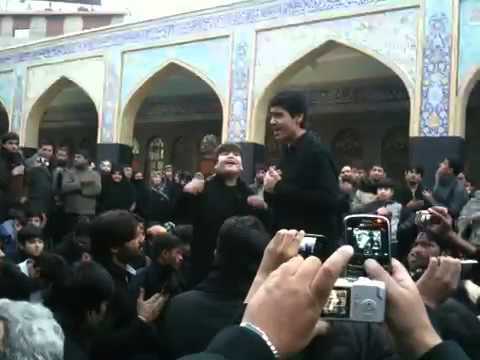 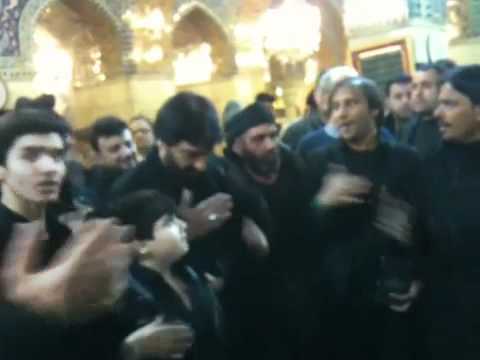 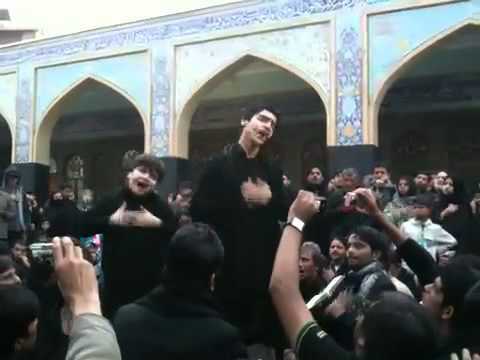 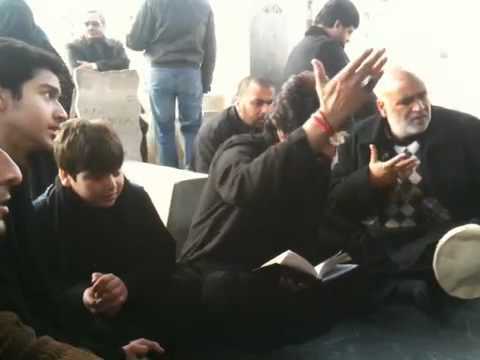 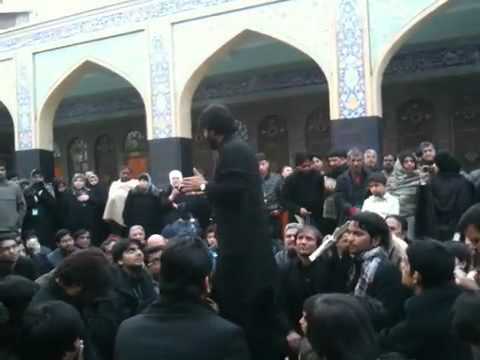 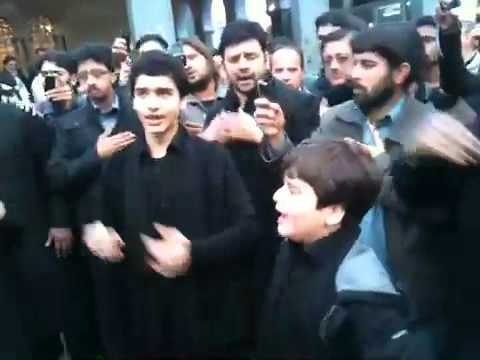 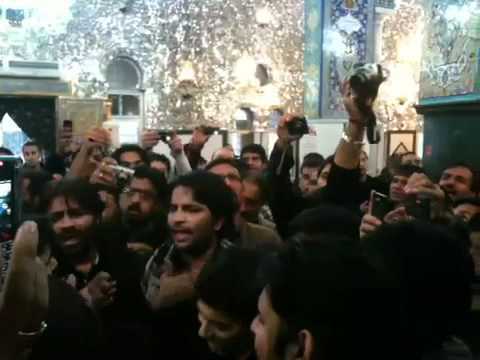 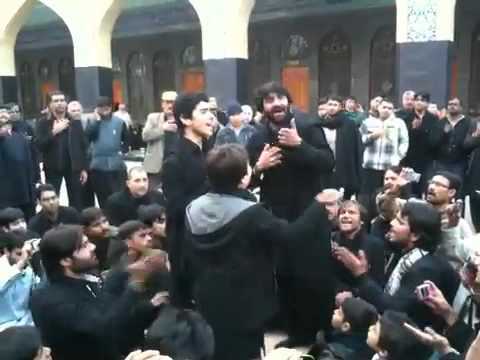 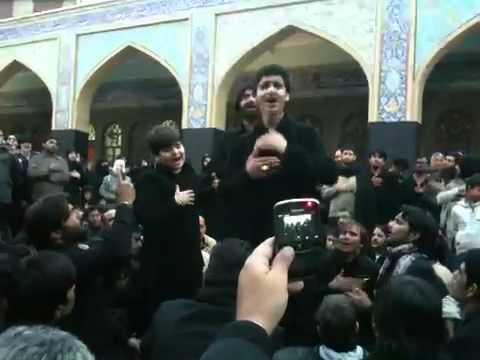 Ali Shanawar Reciting (Jaag Sakina Jaag) Infront Of Haram-e-Bibi Syeda Zainab Shaam,Syria. 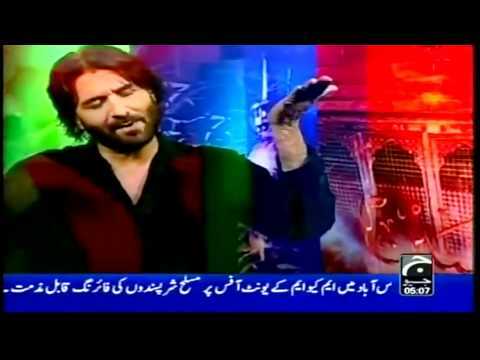 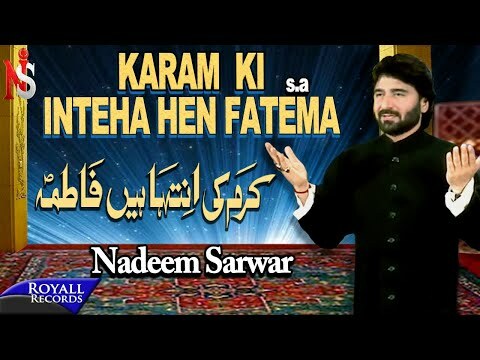 Nadeem Sarwar Special Speech on 27th Safar Karachi, Pakistan 2012. 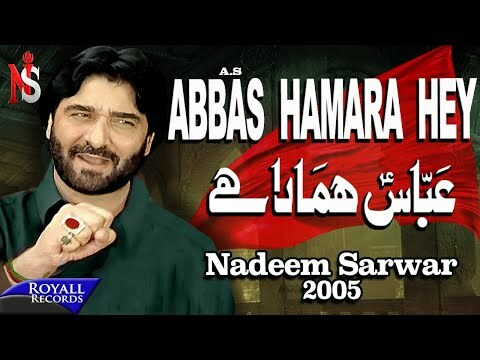 Nadeem Sarwar Abbas Bulata Hai is a Nauha from Nadeem Sarwar 2008 album. 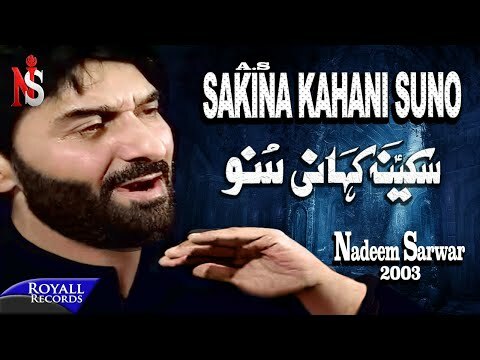 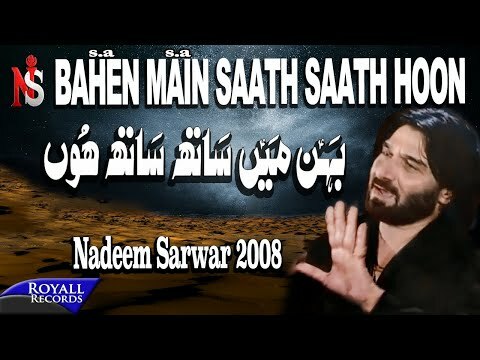 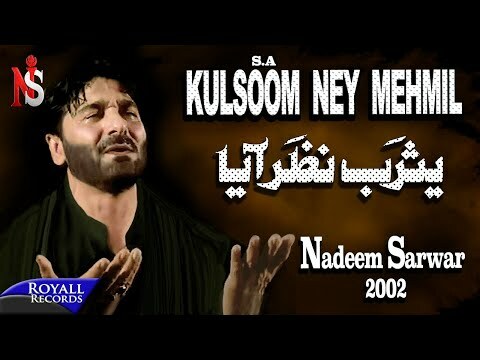 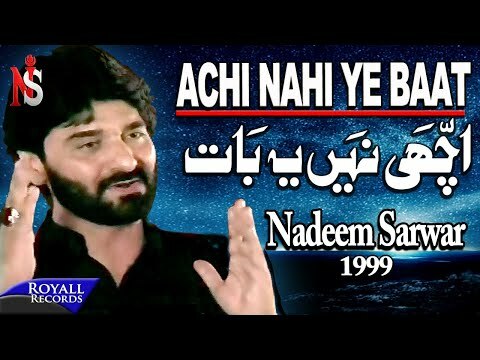 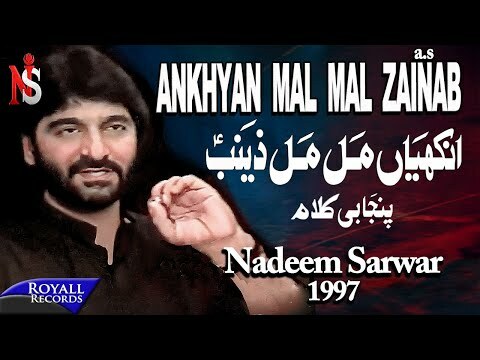 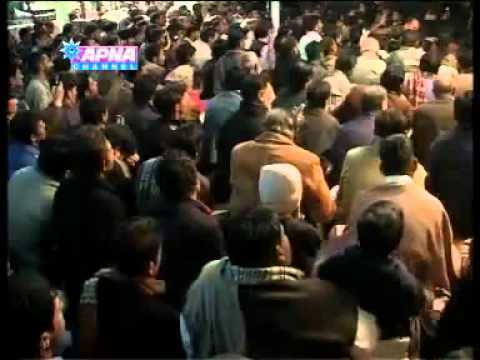 Nadeem Sarwar Behan Mein Saath is a Nauha from Nadeem Sarwar 2008 album. 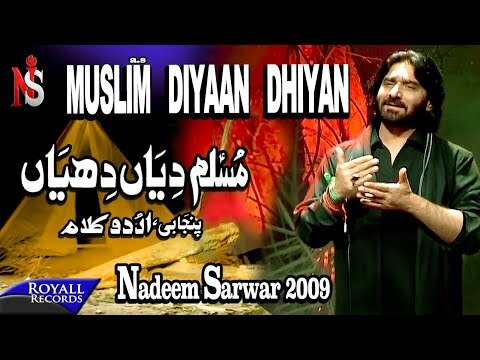 Nadeem Sarwar Muslim Diyaan is a Nauha from his Nauha album 2009. 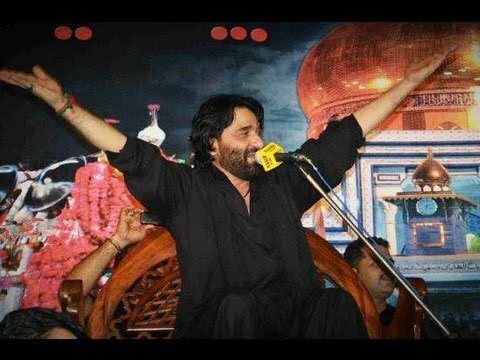 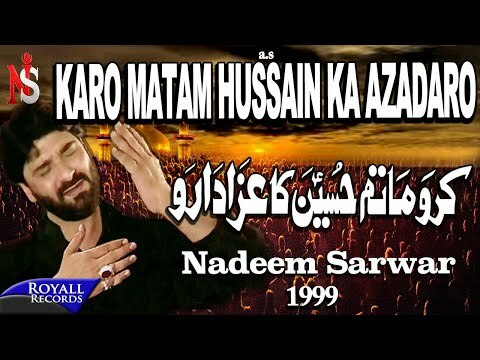 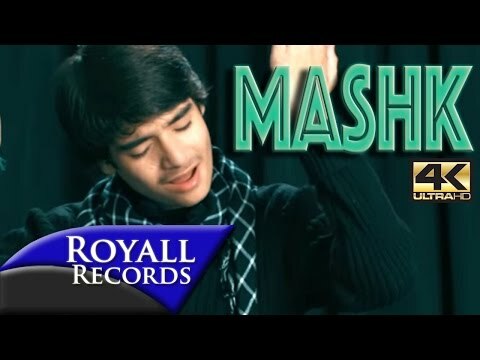 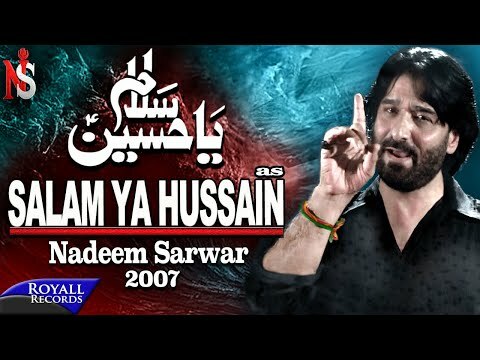 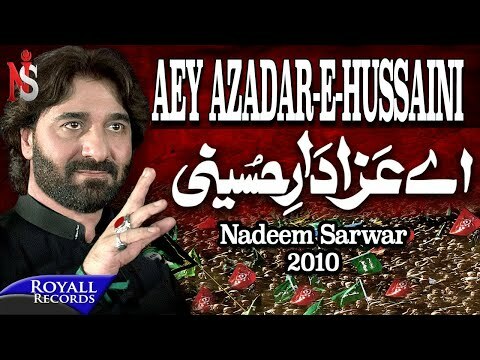 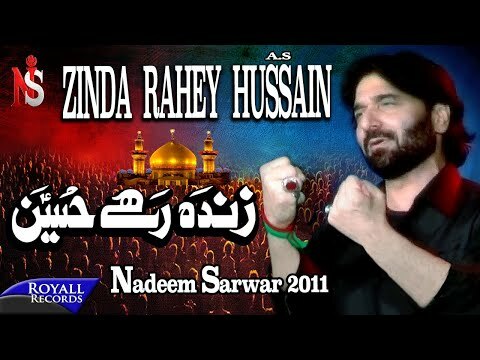 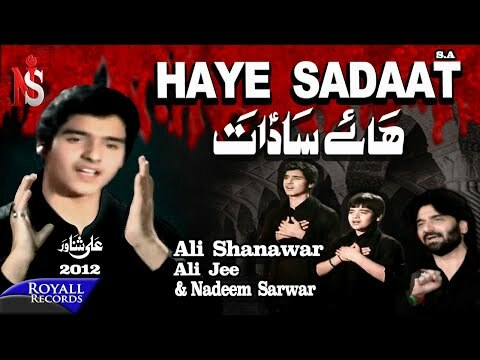 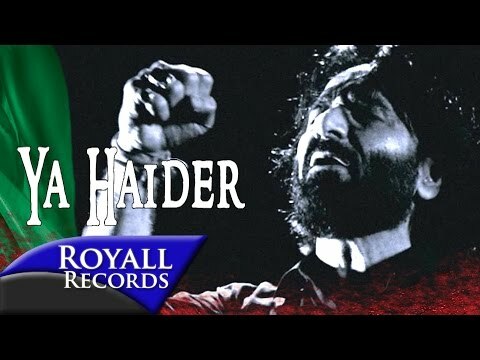 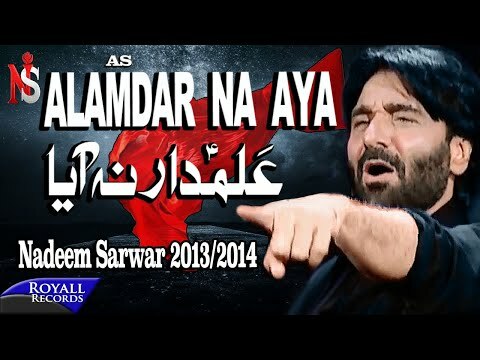 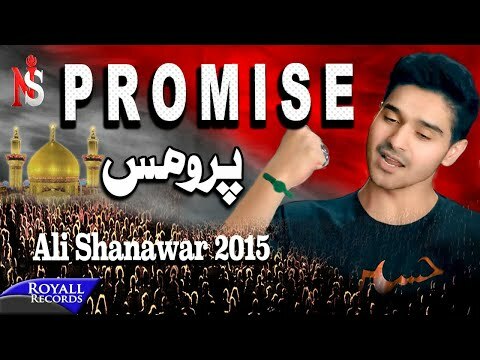 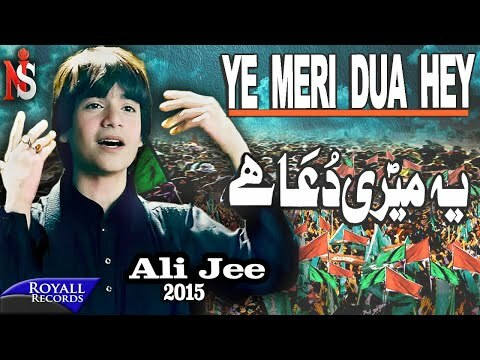 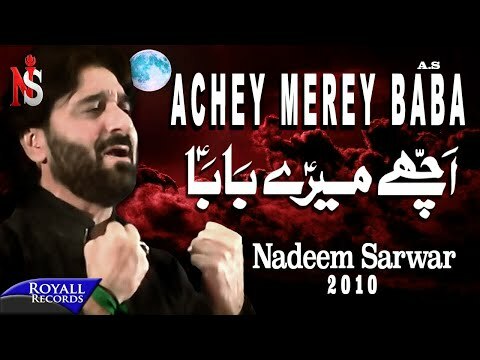 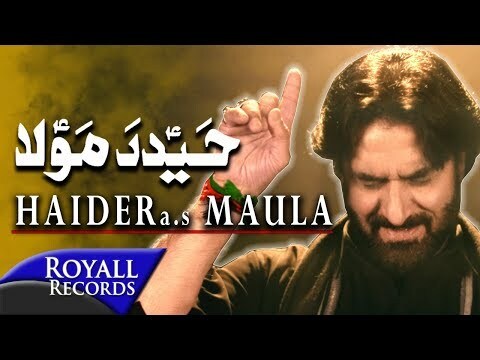 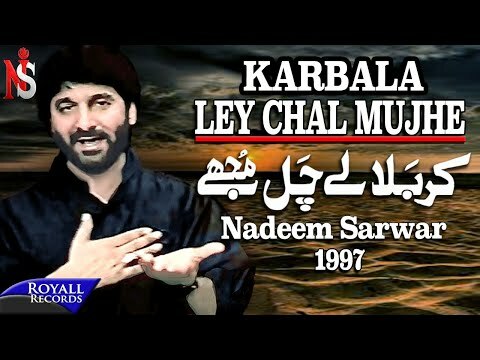 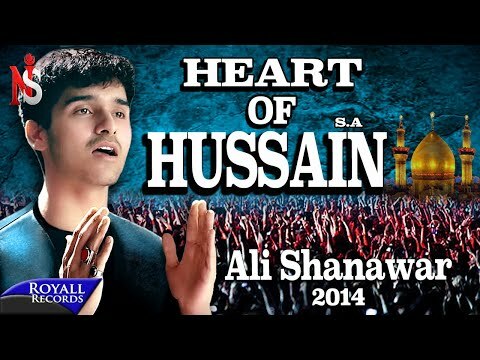 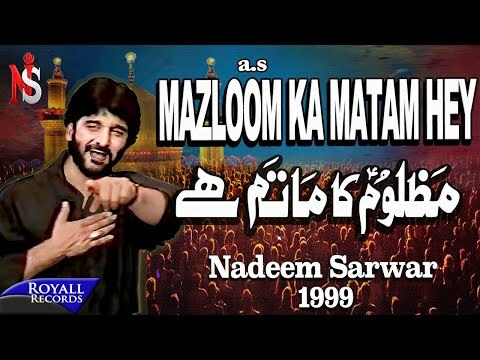 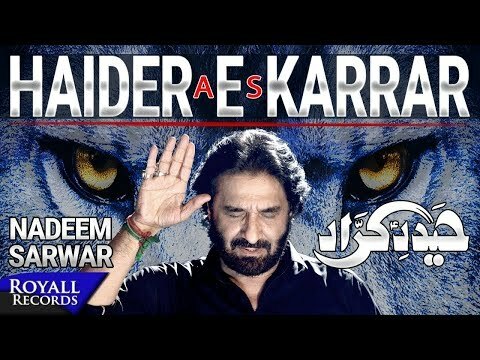 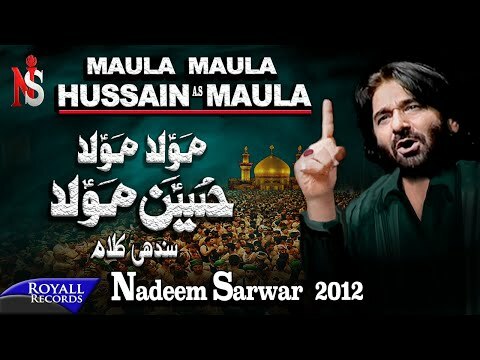 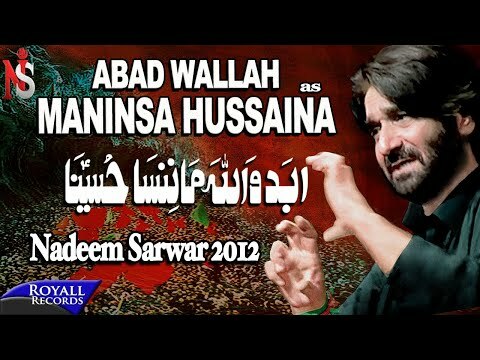 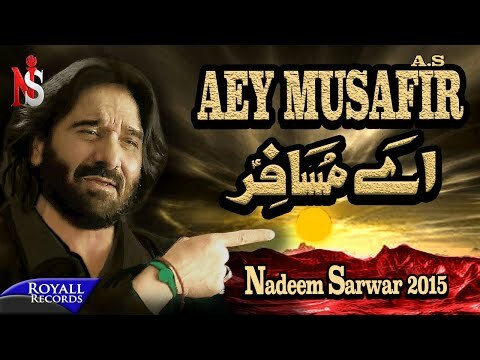 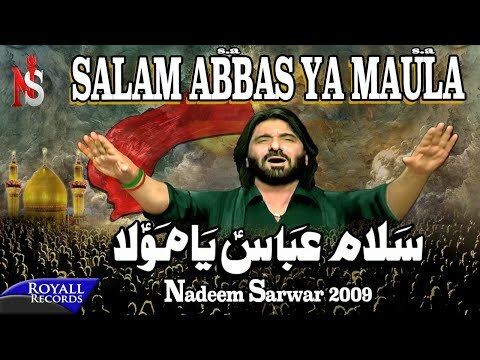 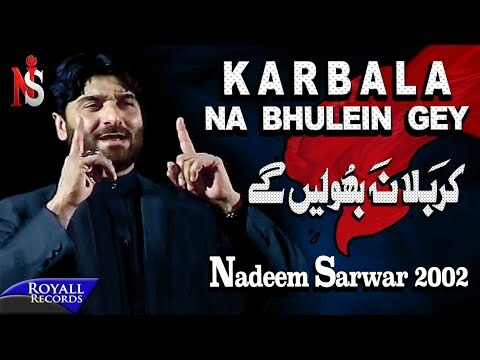 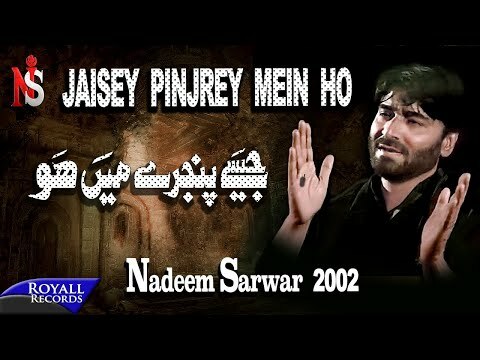 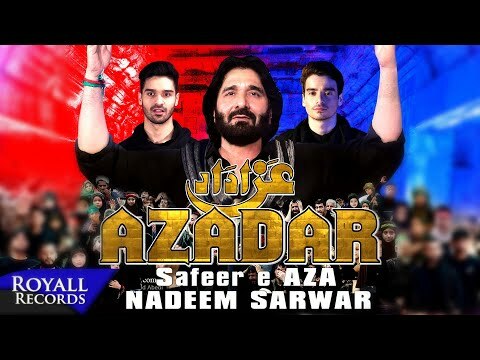 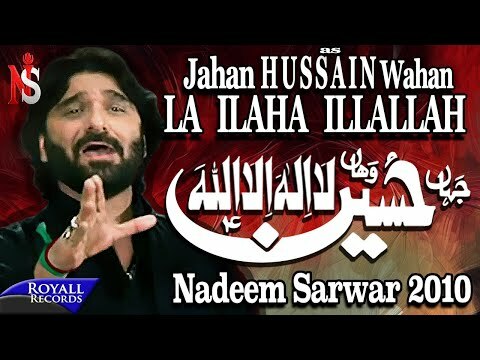 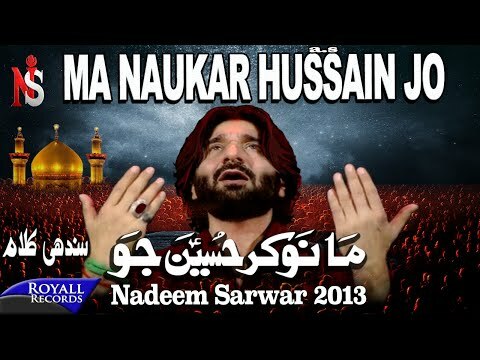 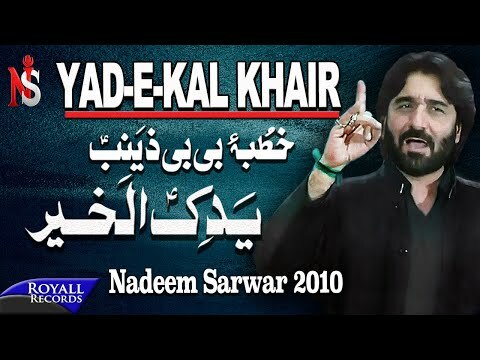 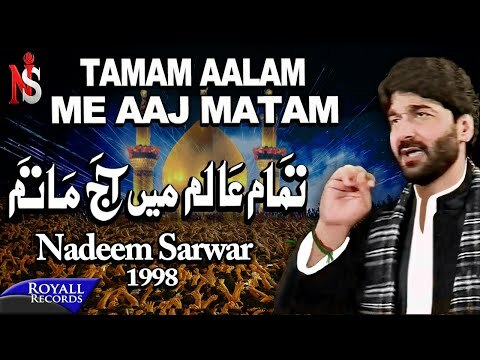 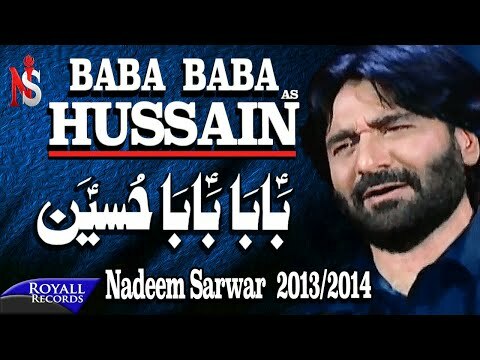 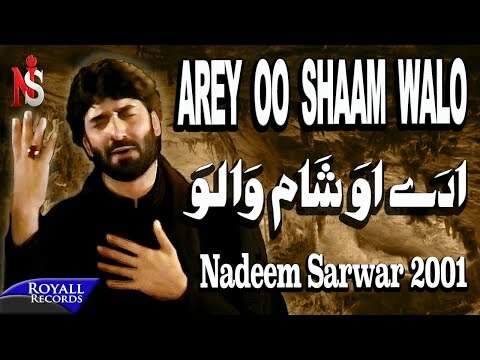 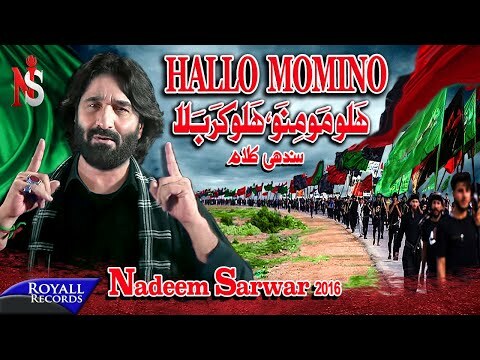 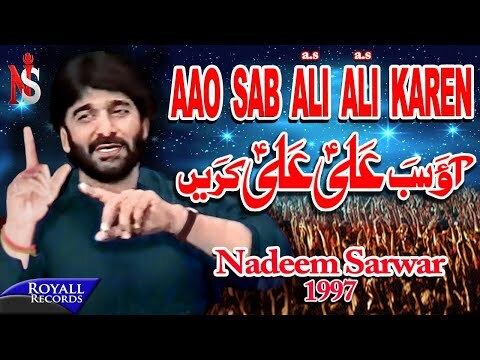 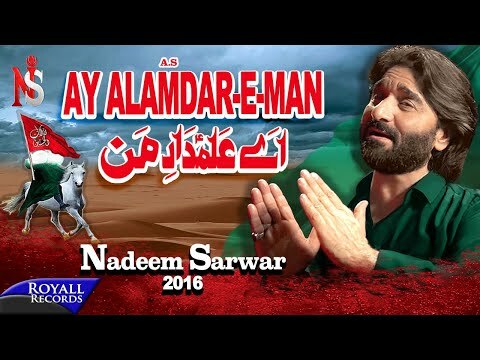 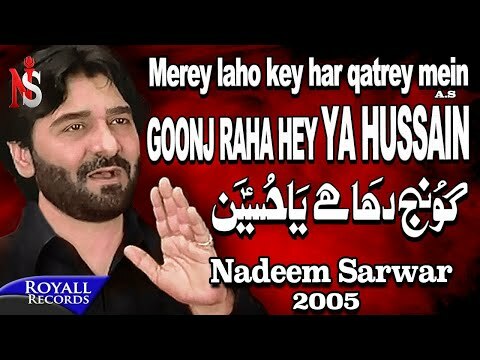 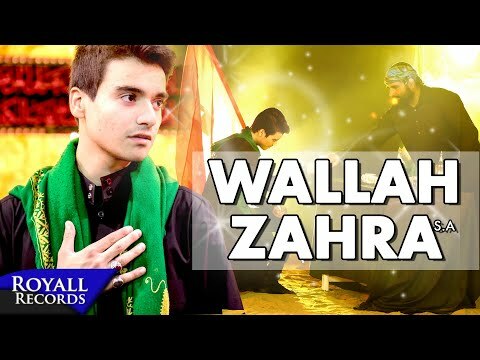 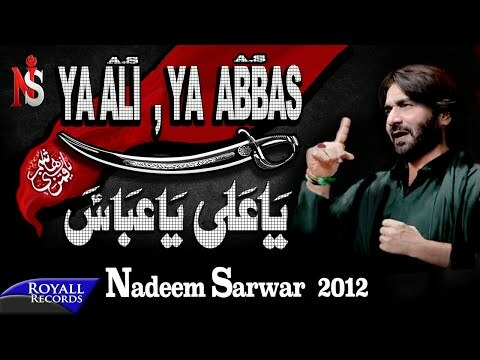 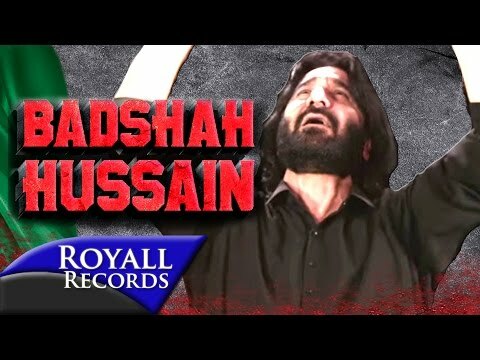 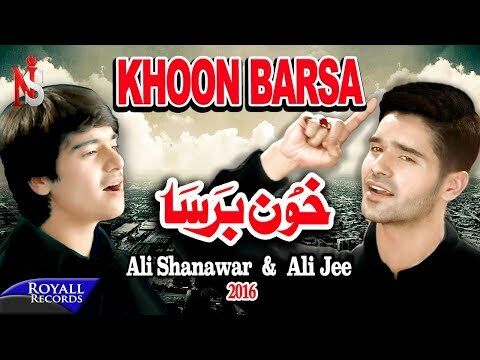 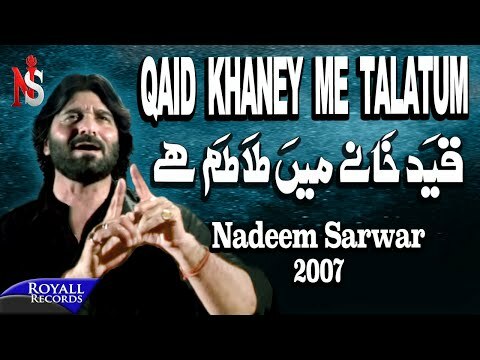 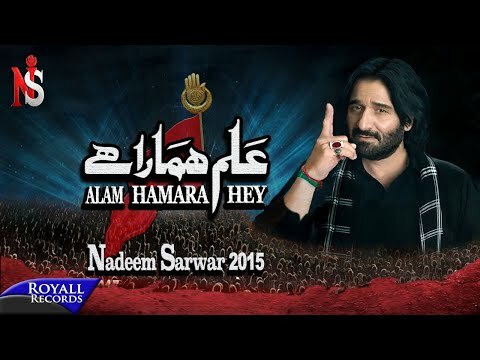 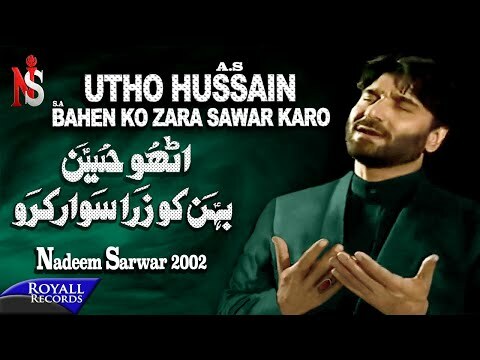 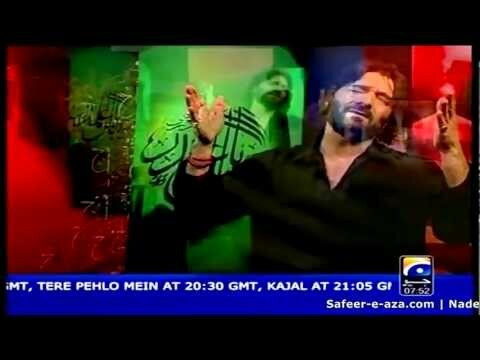 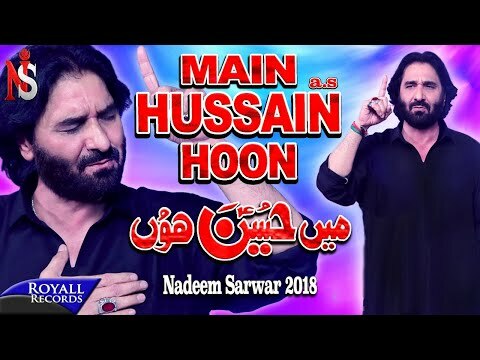 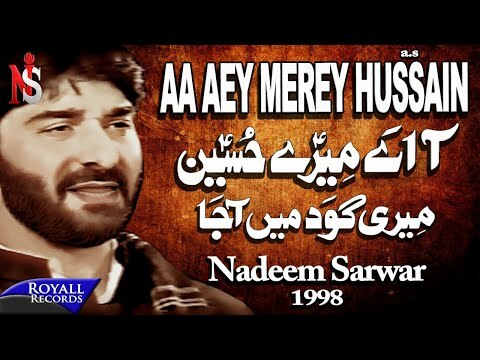 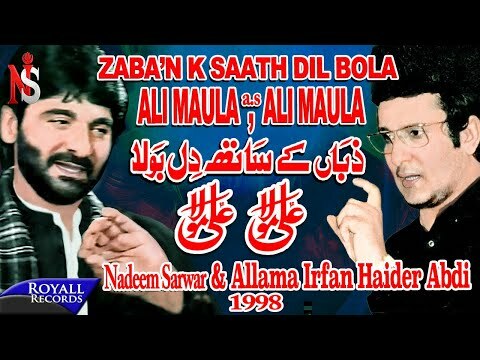 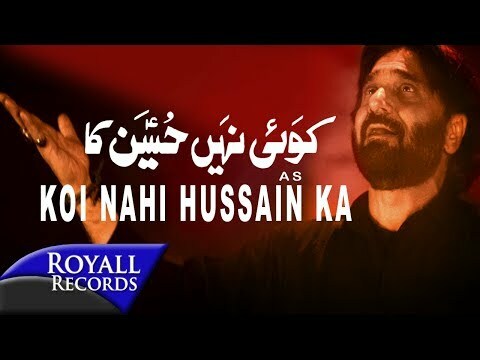 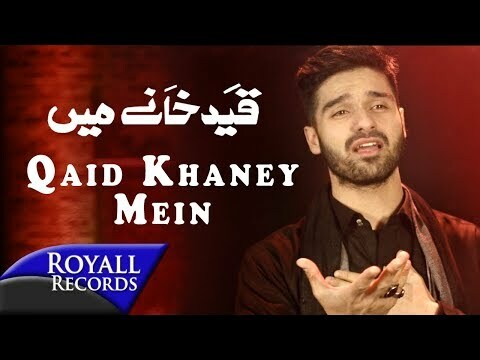 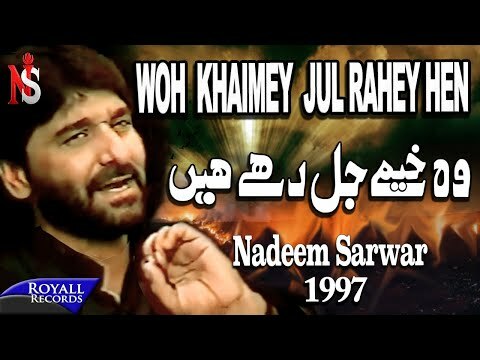 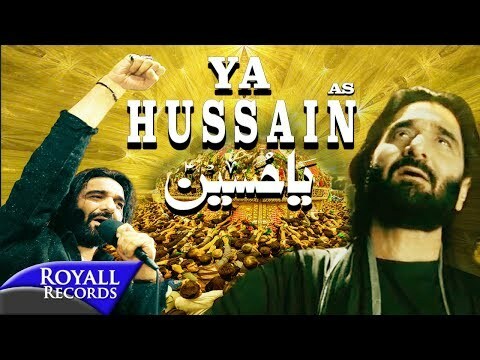 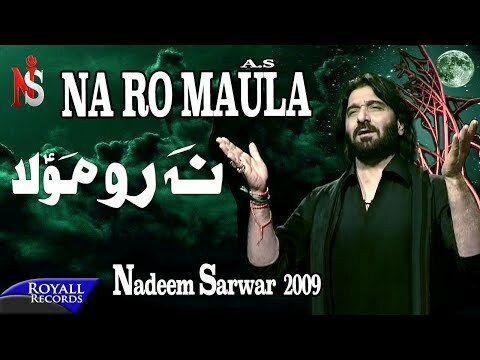 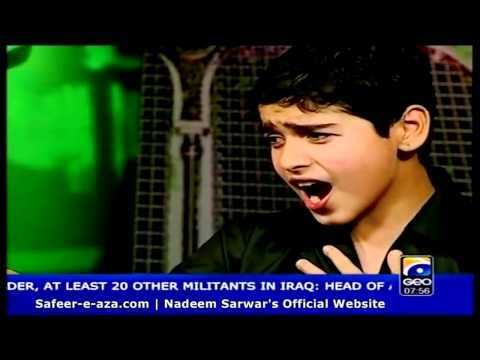 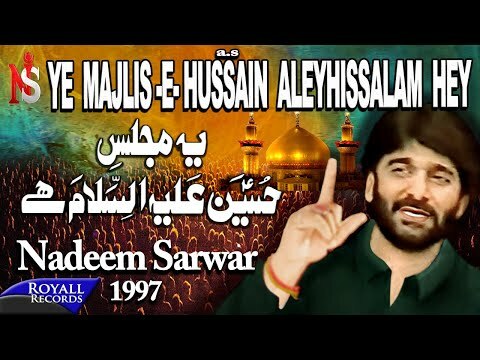 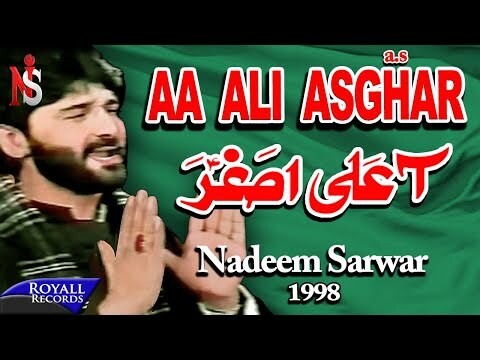 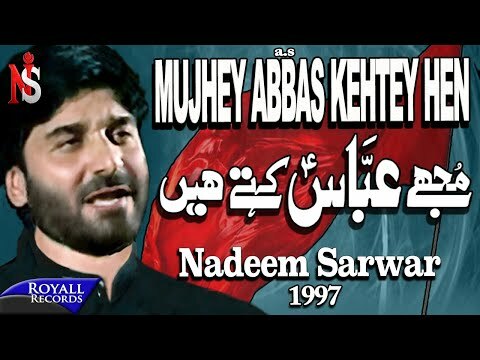 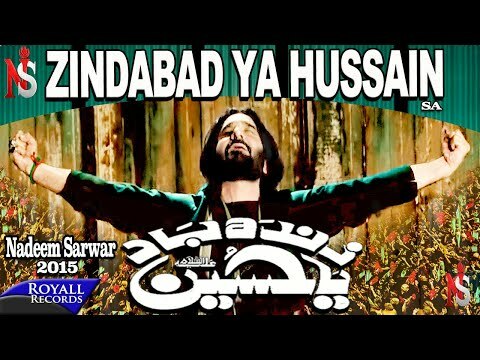 Ali Shanawar & Ali jee Yeh Mahe Muharram Hai is a Nauha from Nadeem Sarwar 2009 Nauha Album. 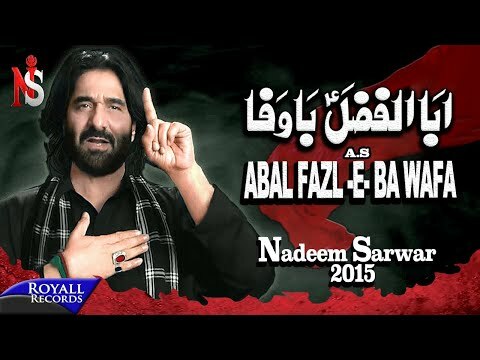 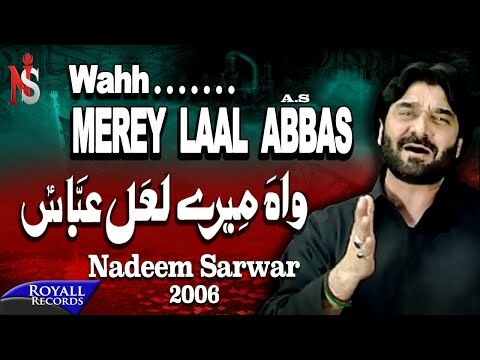 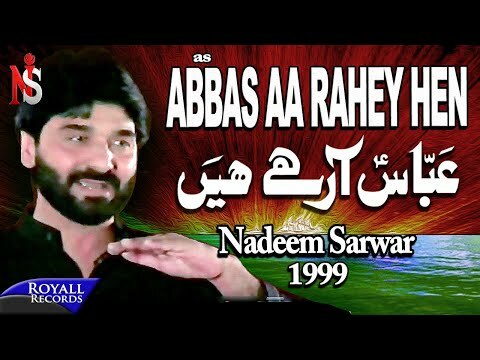 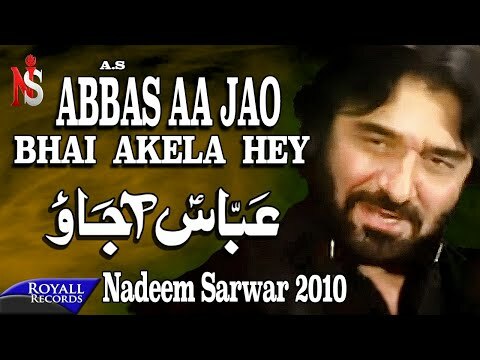 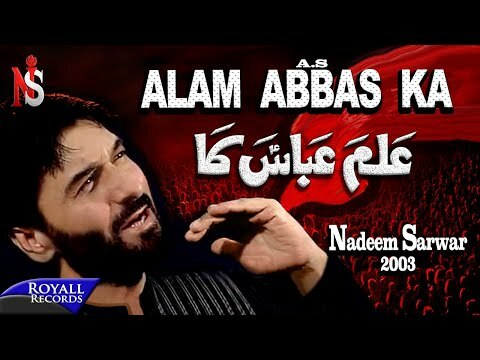 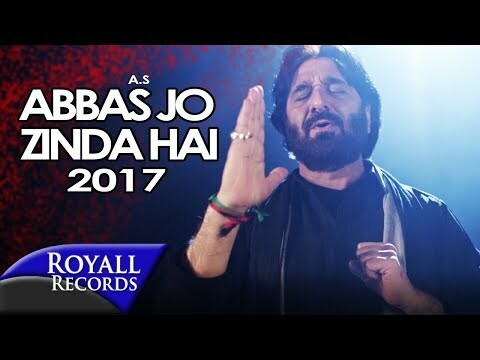 Nadeem Sarwar Abbas Na Ab Laut Ke is a Nauha from his Nauha album 2009. 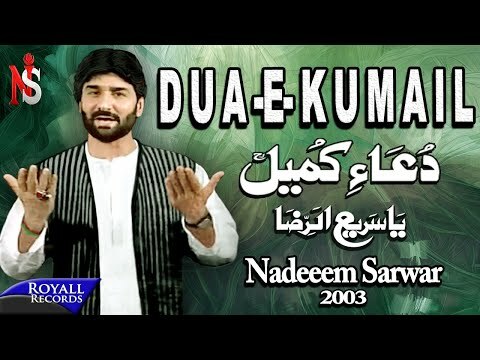 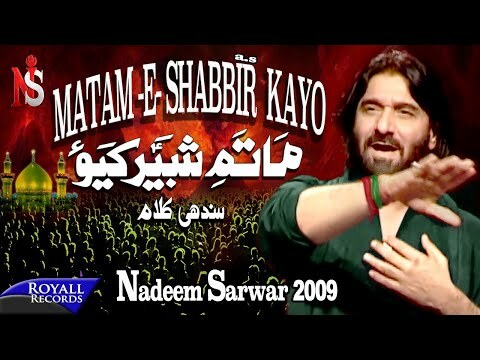 Nadeem Sarwar Matam-e-Shabbir Kayo is a Nauha from his Nauha album 2009. 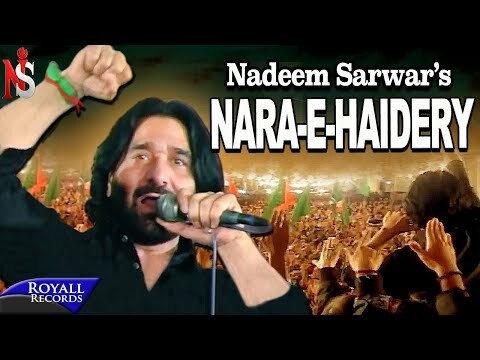 Short video showing on to register on Nadeem Sarwar's official website. 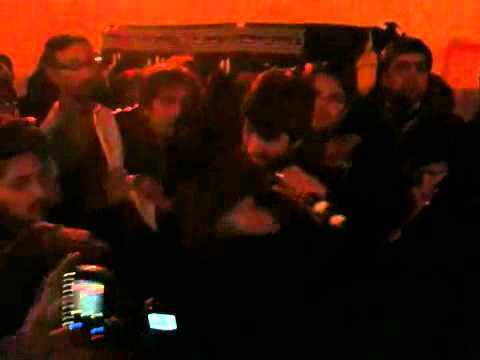 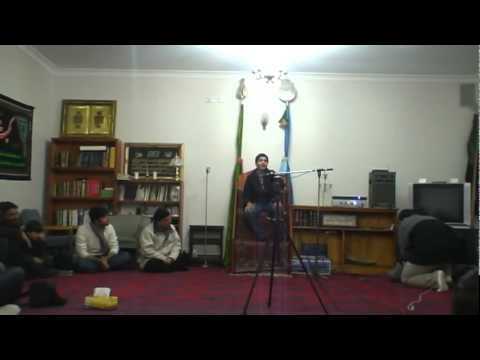 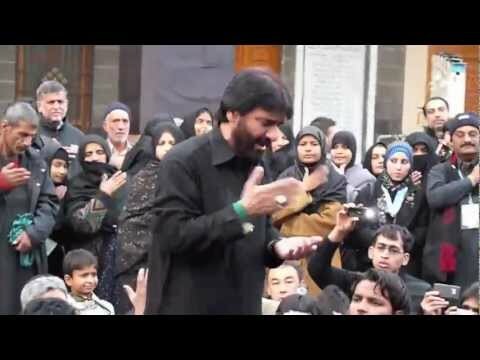 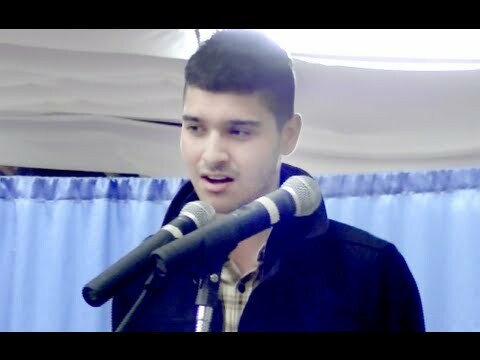 Ali Shanawar Reciting Qasida Abbas Terey Dar Sa on Jashan-e-Wiladat-e-Imam Mehdi (a.s) in Sydney, Australia 2011. 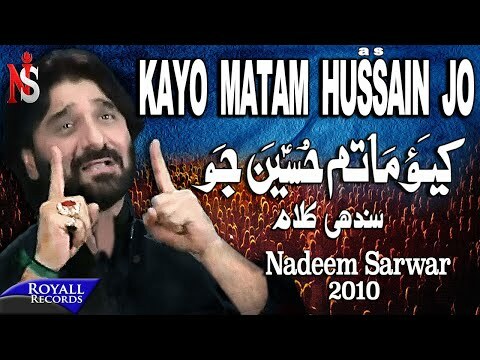 Nadeem Sarwar Haye Haye Qasim is a Nauha from Nadeem Sarwar 2008 album. 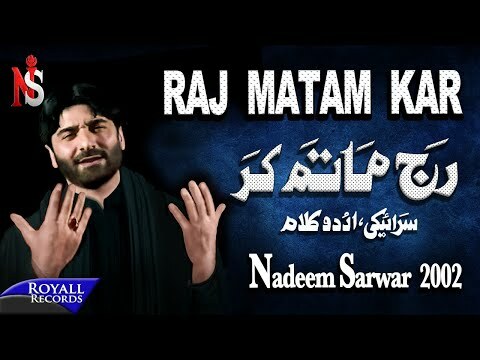 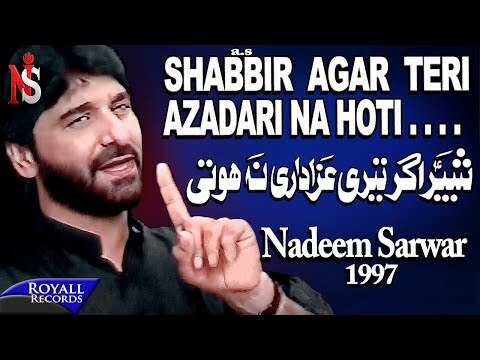 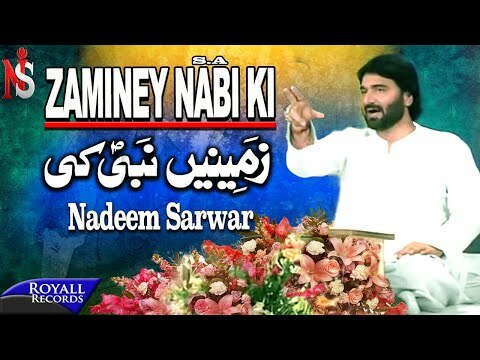 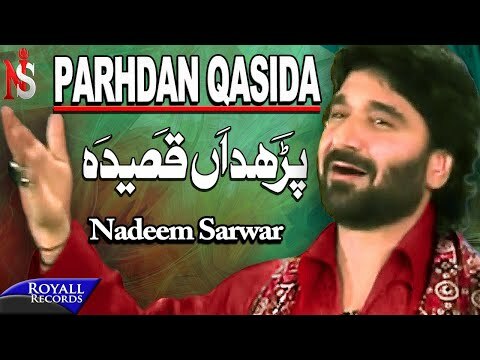 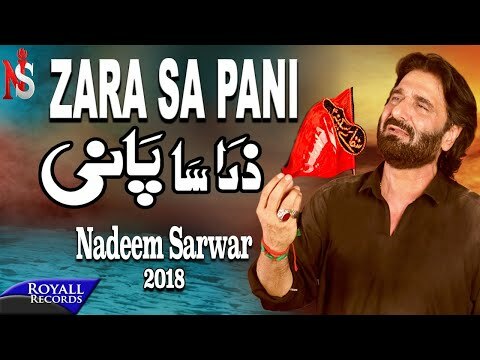 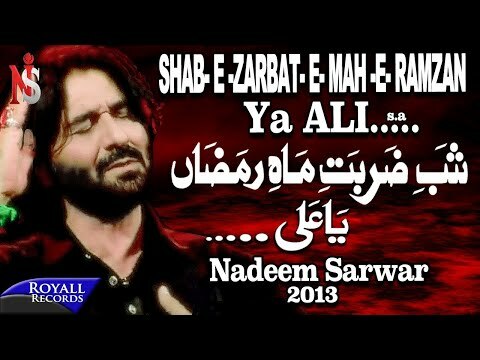 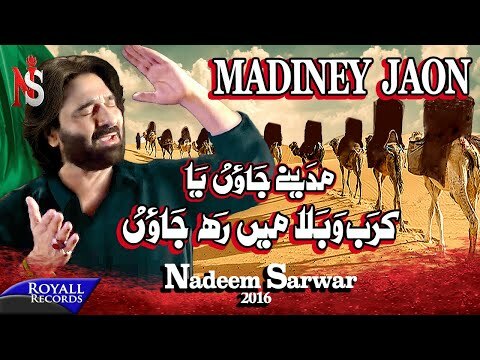 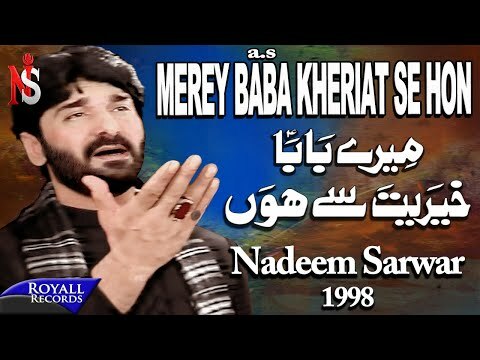 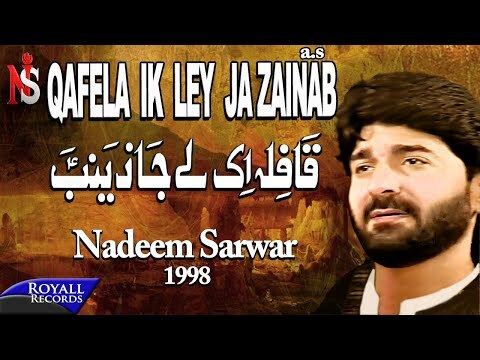 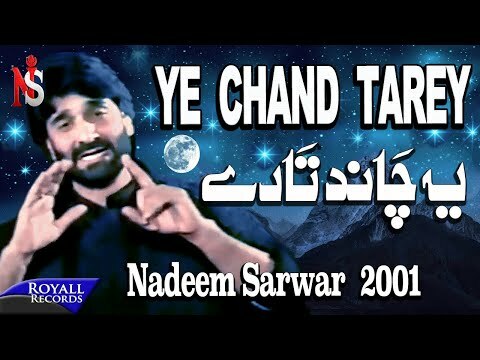 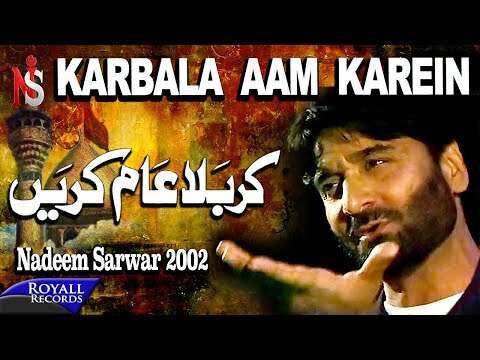 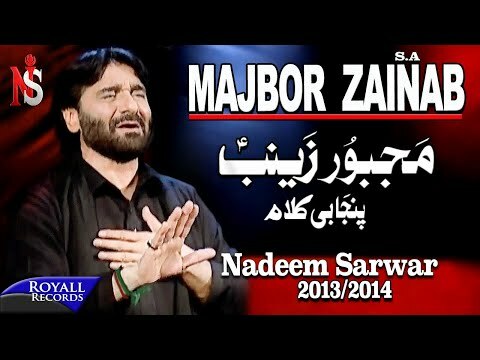 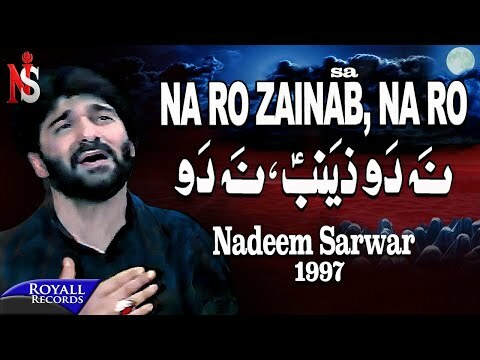 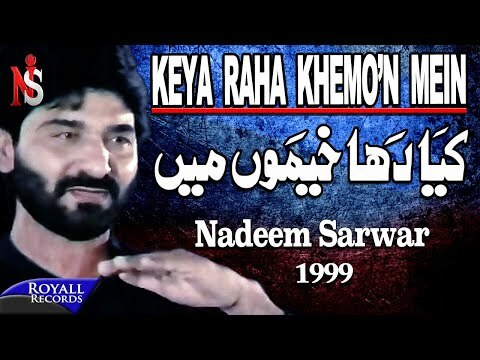 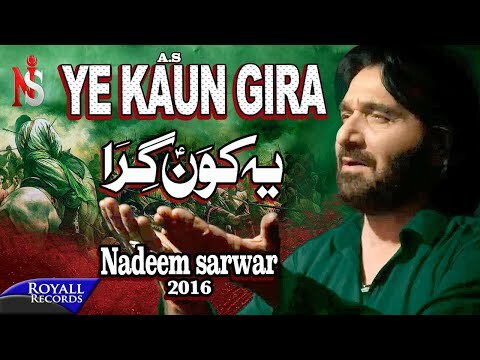 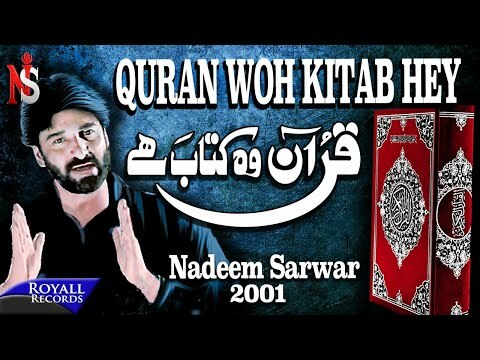 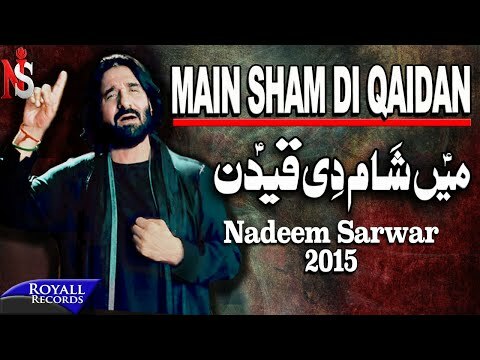 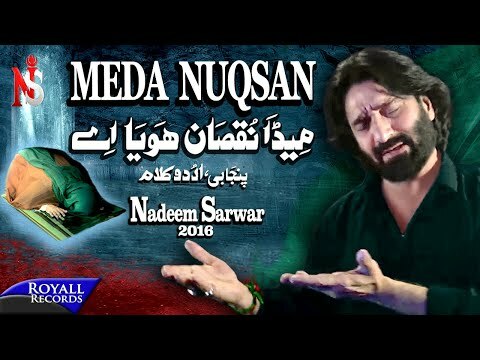 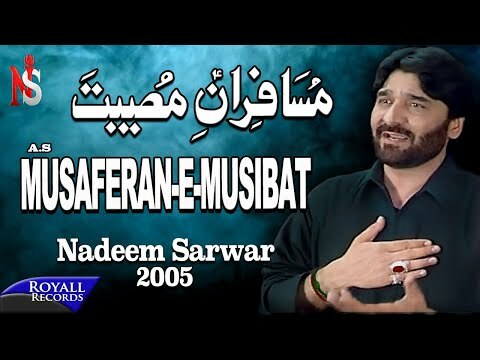 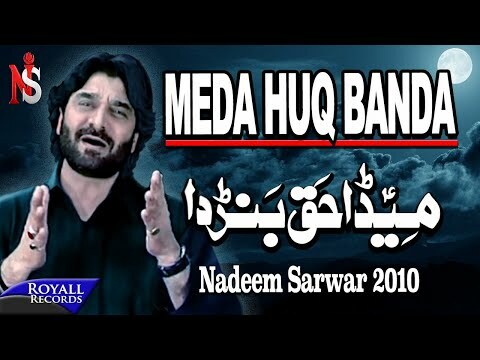 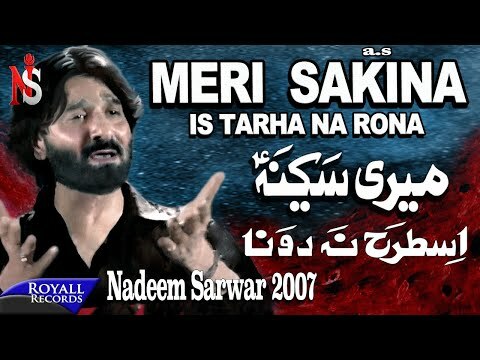 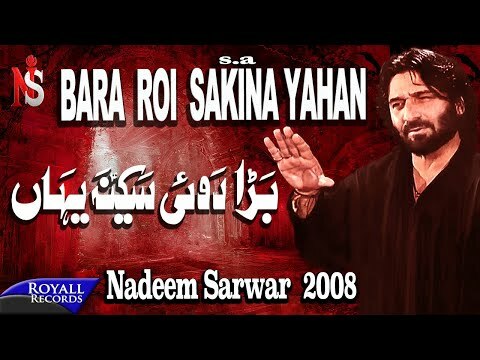 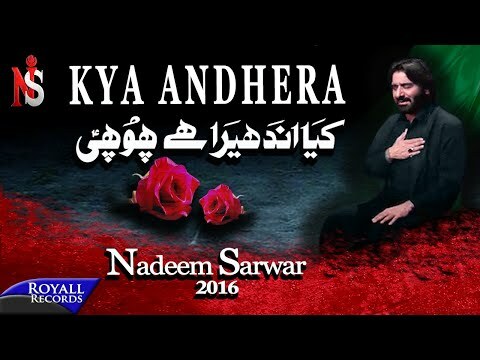 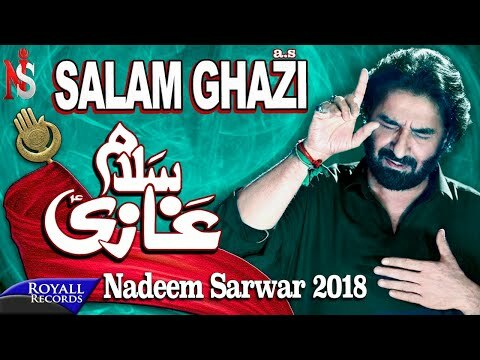 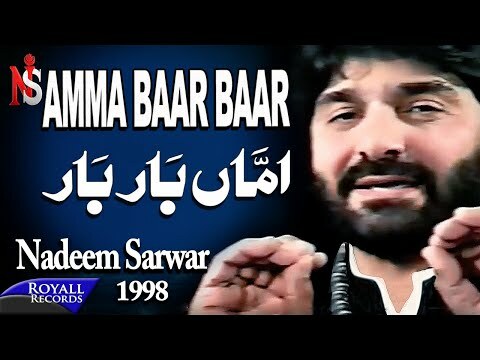 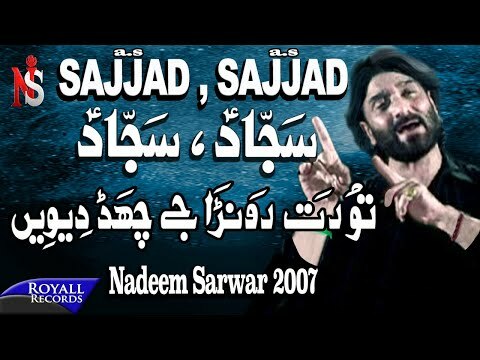 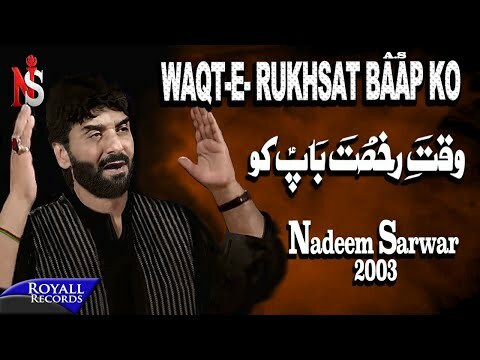 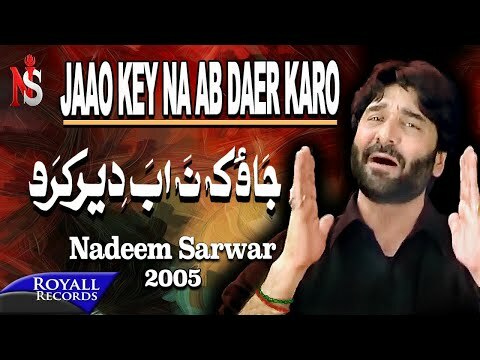 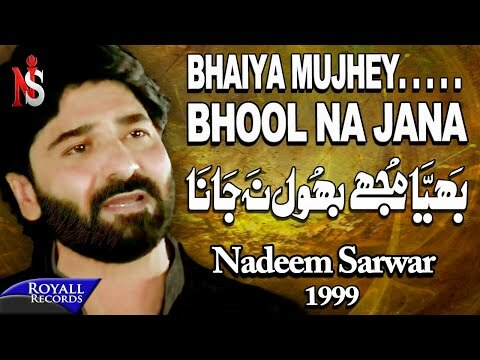 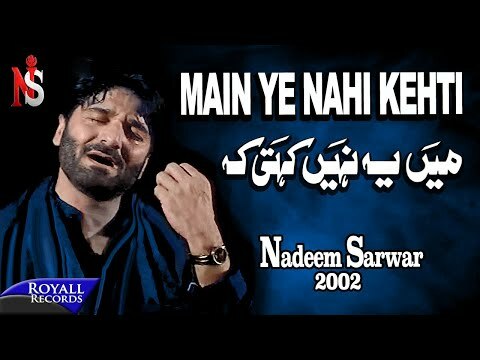 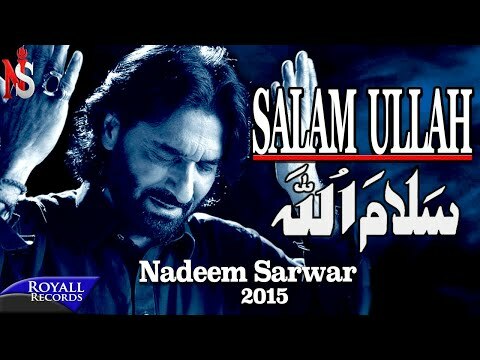 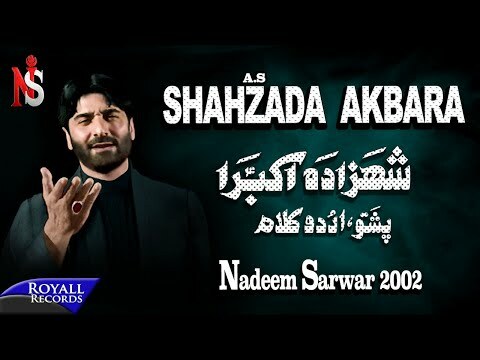 Nadeem Sarwar Tu Hai Bara Rehmaan is a Manqabat of Nadeem Sarwar from his 2009 Manqabat Album. 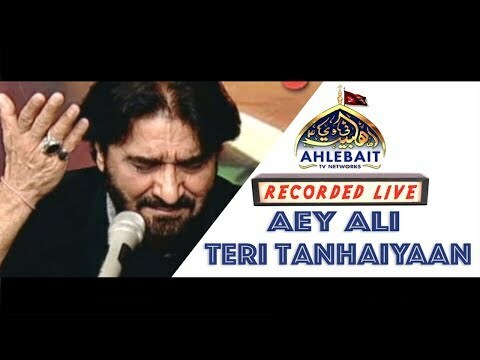 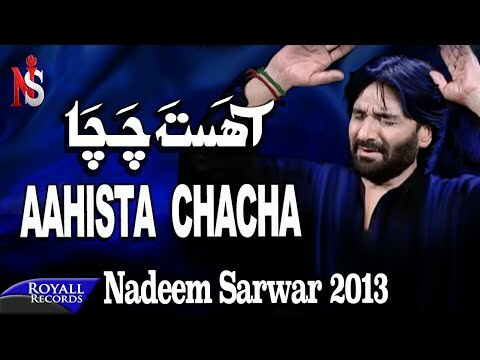 Nadeem Sarwar Special Recorded Nauha Chotey Hazrat at ARY Channel Pakistan. 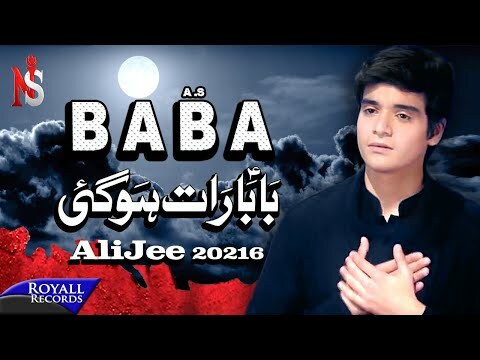 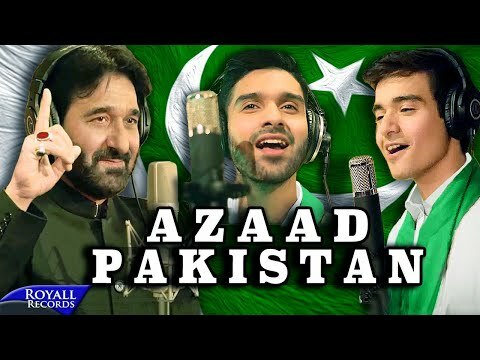 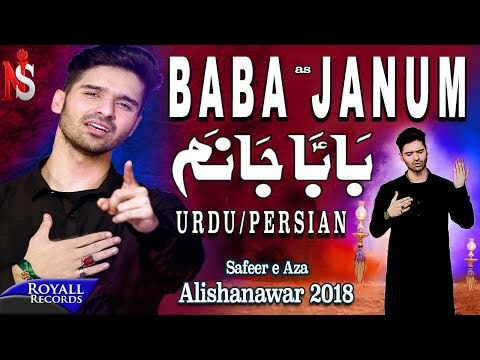 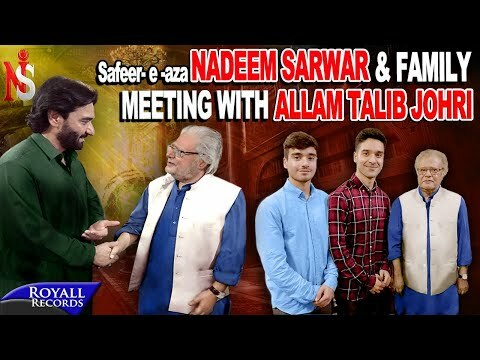 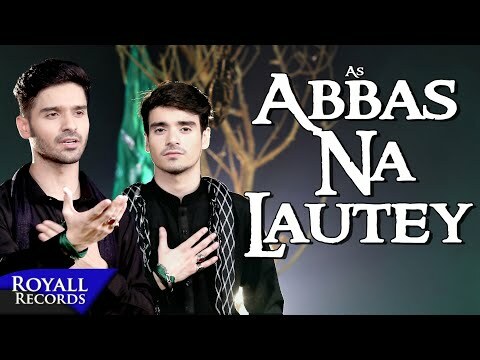 Ali Shanawar & Ali Jee Special Recorded Nauha Pyare Nabi Ki Pyari Nawasi at Geo Channel Pakistan. 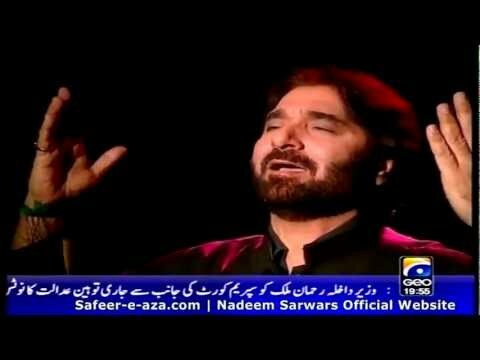 Nadeem Sarwar Special Recorded Nauha Mera Wada Hua Pura at Geo Channel Pakistan. 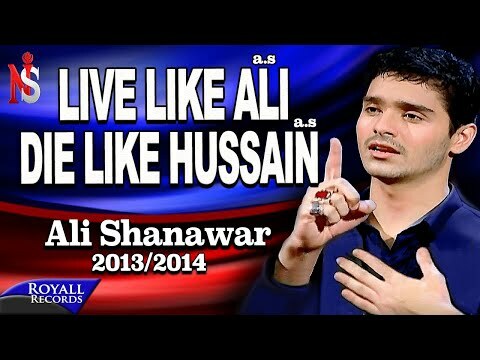 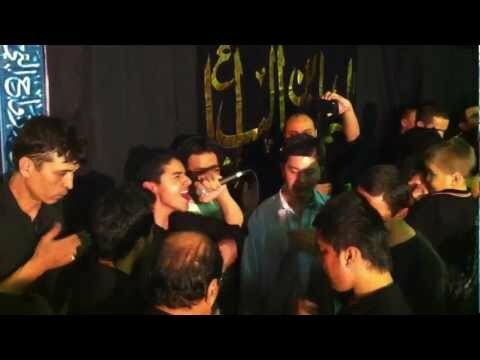 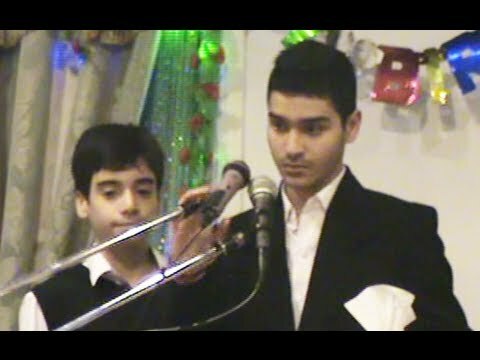 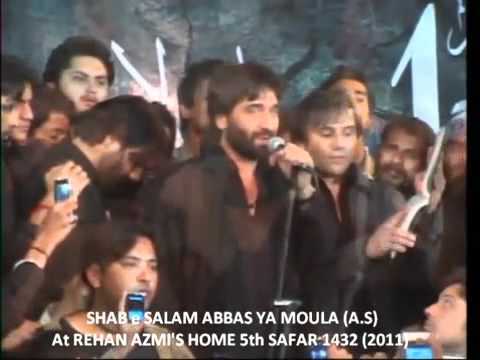 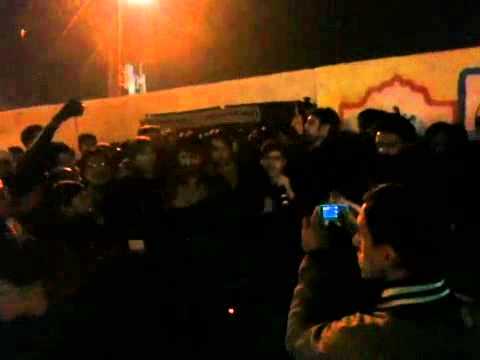 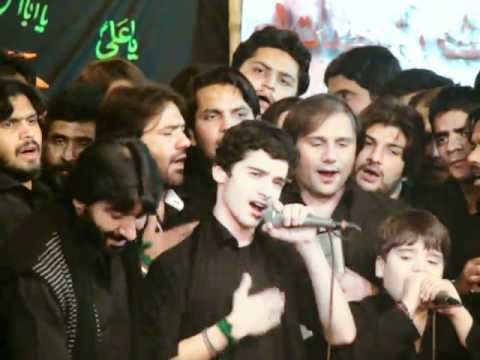 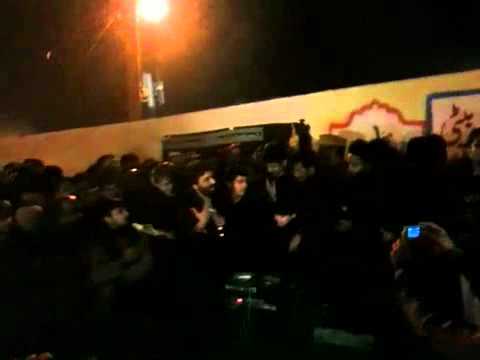 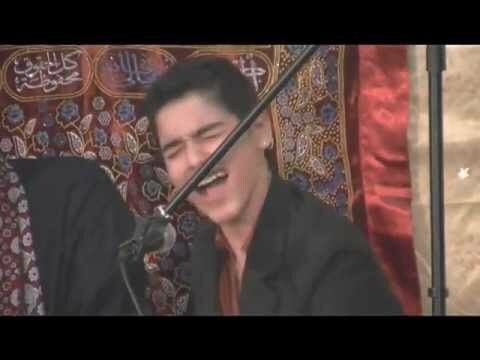 Ali Shanawar Live - Abbas Na Ab Laut Key (Sydney, Australia) on 7th Muharram (3rd December) 2011. 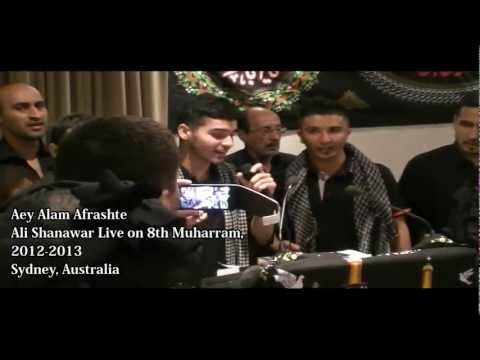 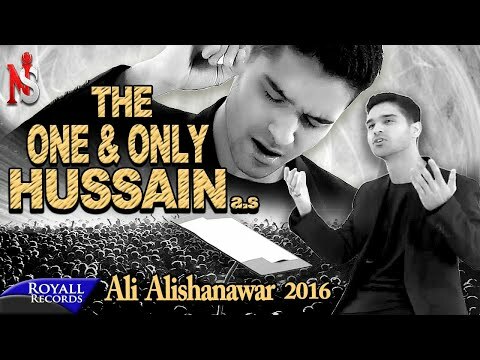 Ali Shanawar live on 8th Muharram, Sydney, Australia. 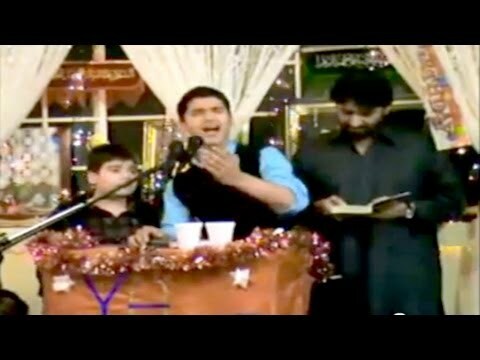 Nadeem Sarwar Reciting and Giving Pursa by his Well known Nauhas in Rohri on 17th Ramadan, 6th August 2012. 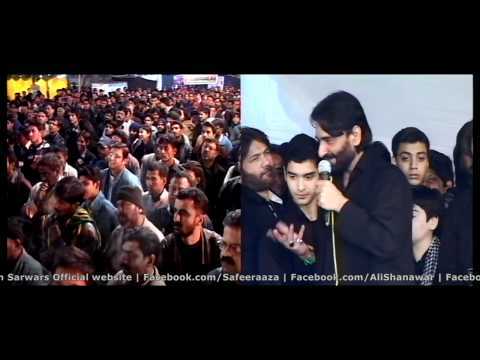 Ali Shanawar Giving Pursa to Shahzada-e-Qasim on 7th Muharram 2013 at Muhammadi, Sydney, Australia. 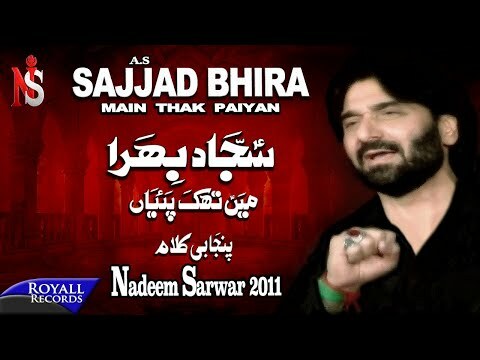 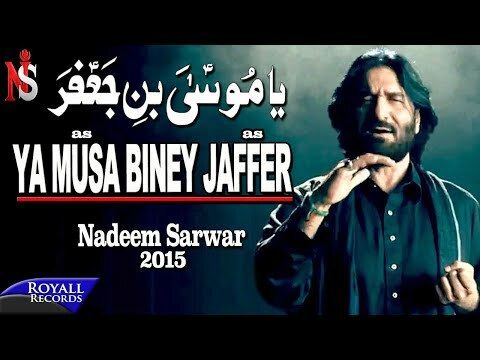 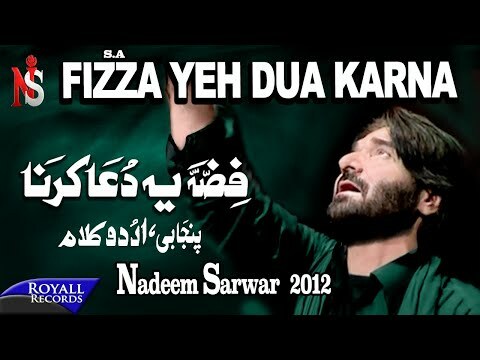 Nadeem Sarwar - Darya Behta Raha 2013 Promo. 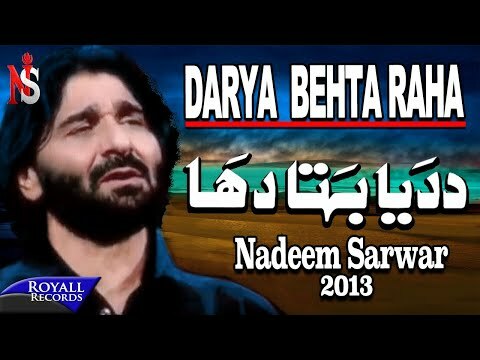 Nadeem Sarwar 2013 Nadeem Sarwar 2012 Darya Behta Raha 2013. 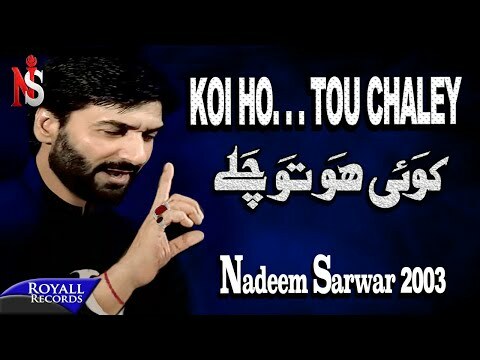 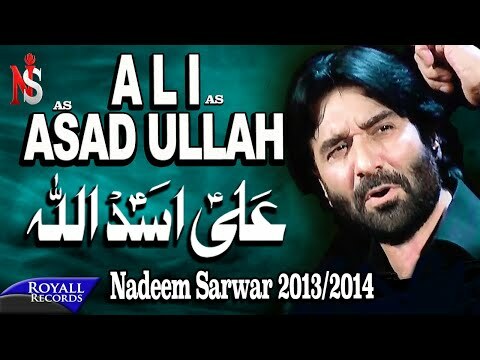 Nadeem Sarwar's Title Promo 2013 "Chalay Aao Aey Zawwaro". 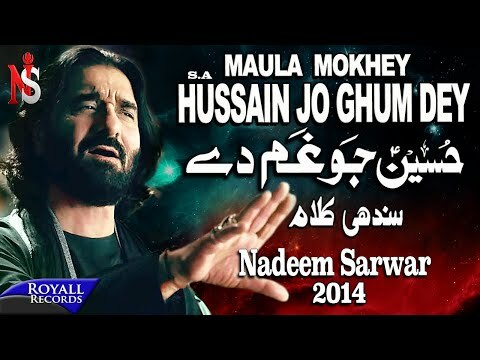 Nadeem Sarwar 2014 Album Coming this Muharram. 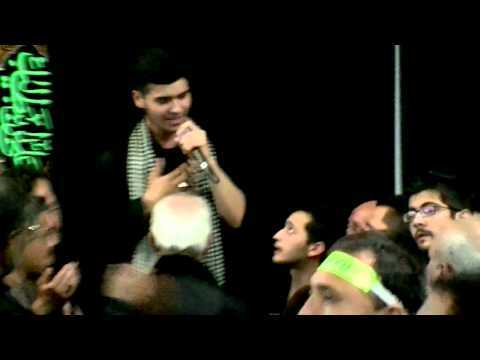 Ali Shanawar reciting Na Koi Amal Hai Na Main Parsa Hun at Sydney, Australia. 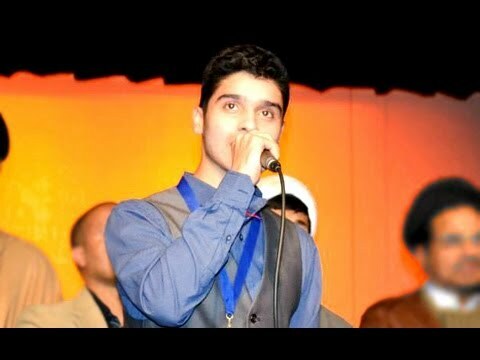 Ali Shanawar reciting Zaminey Nabi in Brisbane on the occasion of Fundraising for Shia Martyrs. 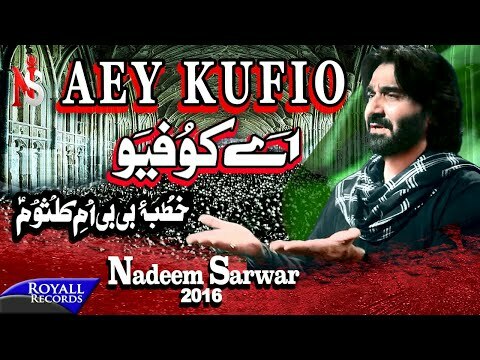 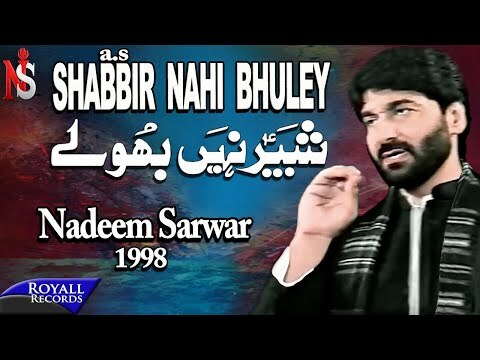 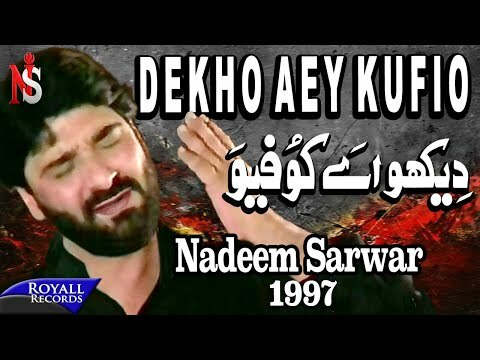 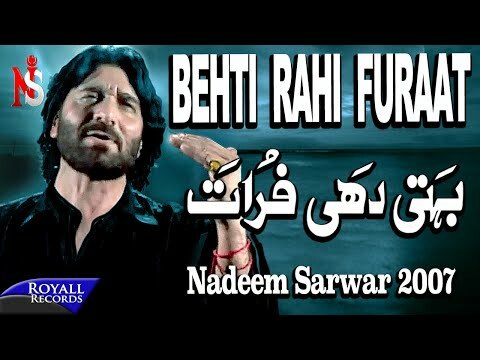 Nadeem Sarwar Behti Rahi Furaat is a Nauhay from Nadeem Sarwar's 2007 Nauha Album. 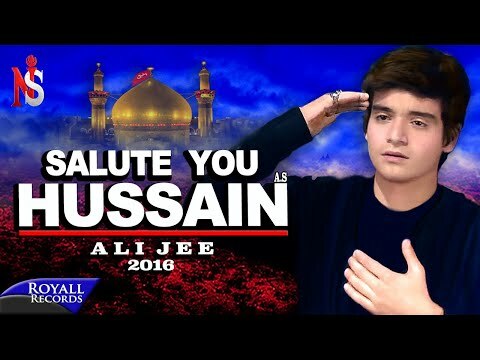 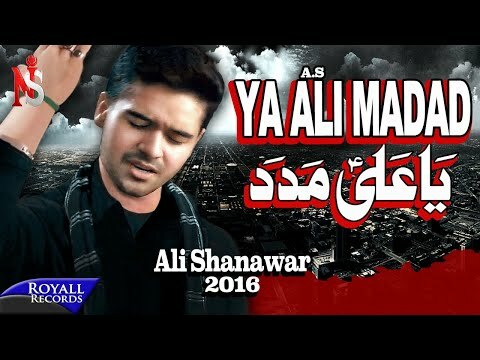 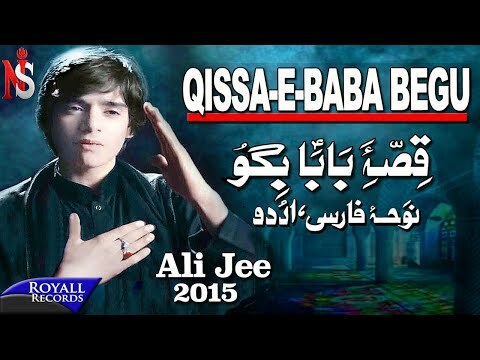 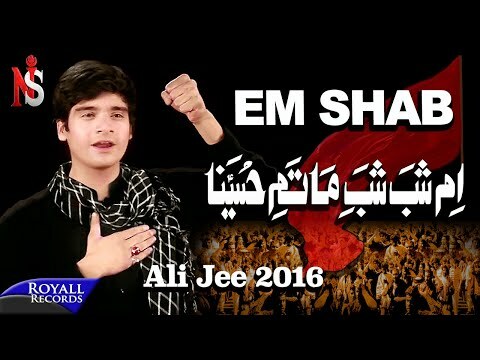 Ali Jee's Promo 2016 | Ya Ali a.s Madad. 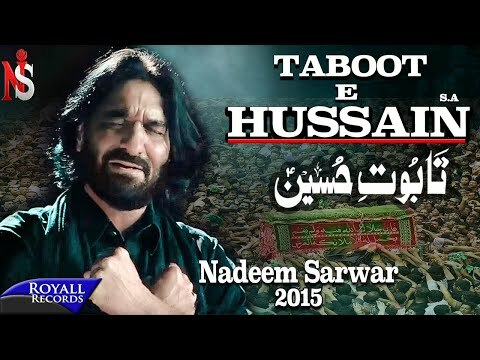 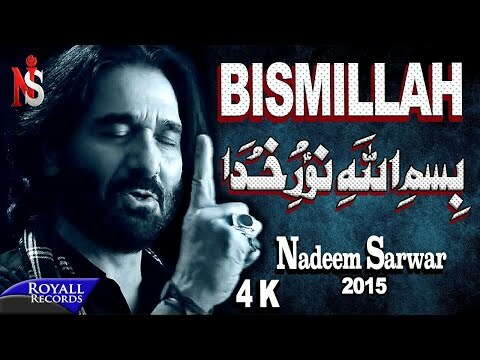 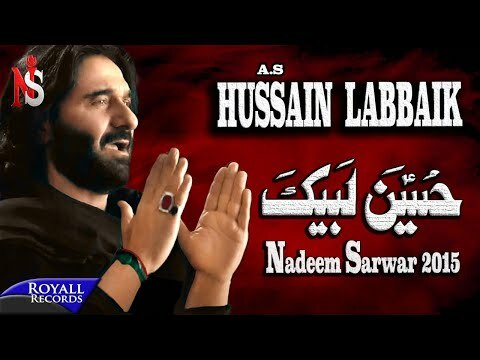 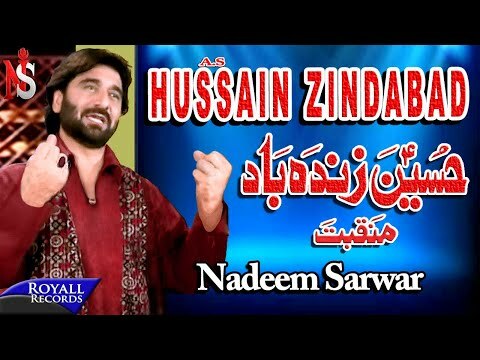 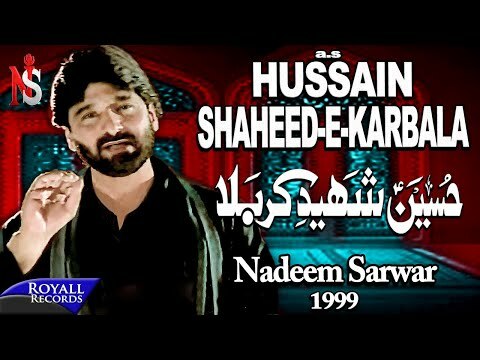 Nadeem Sarwar 2016 First Look "BADHSHAH HUSSAIN a.s"